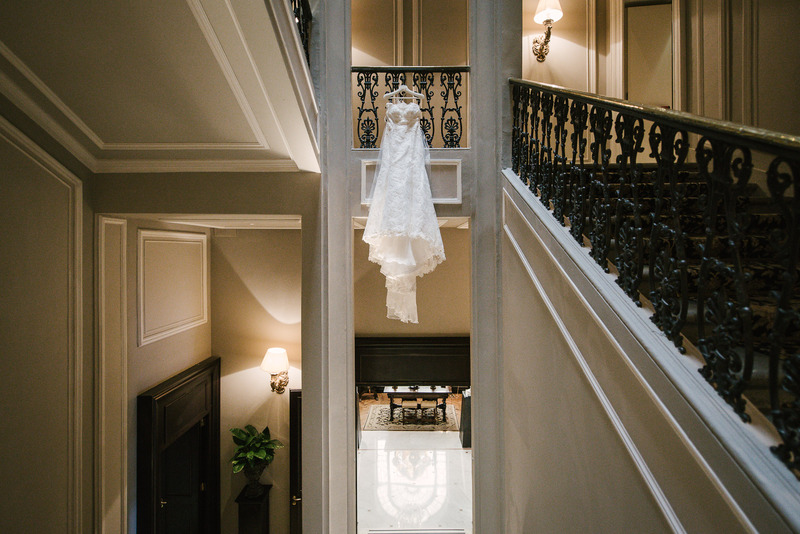 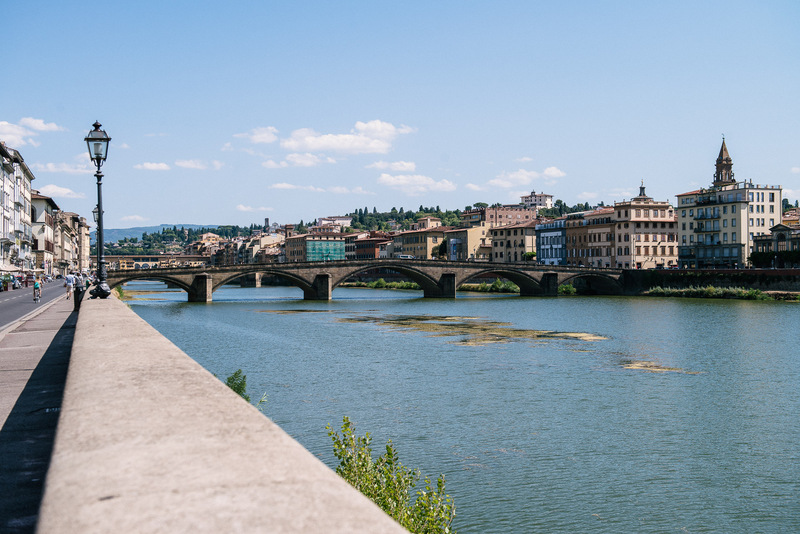 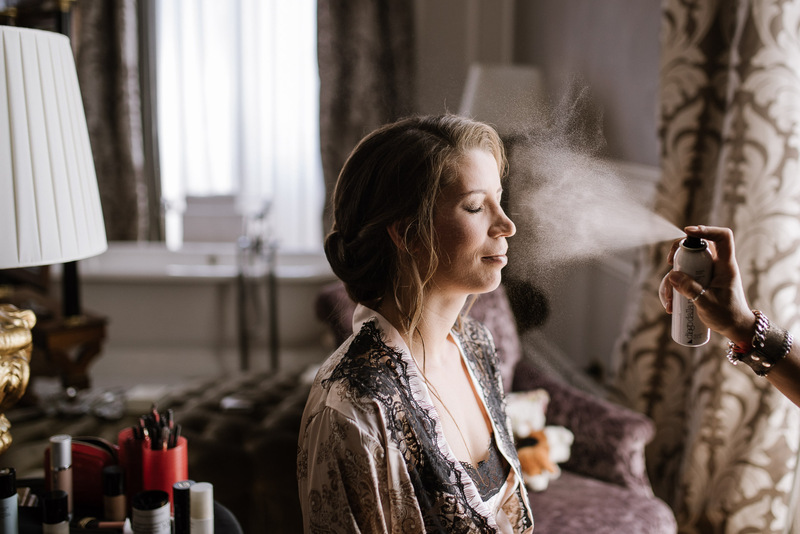 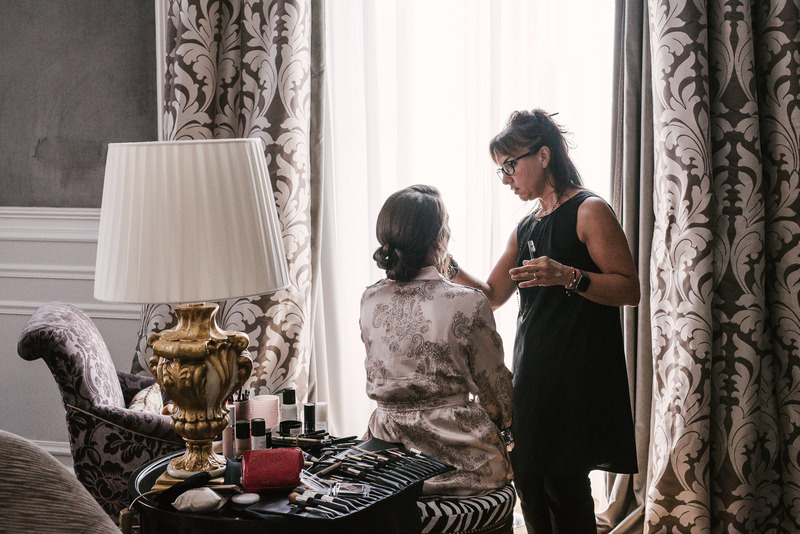 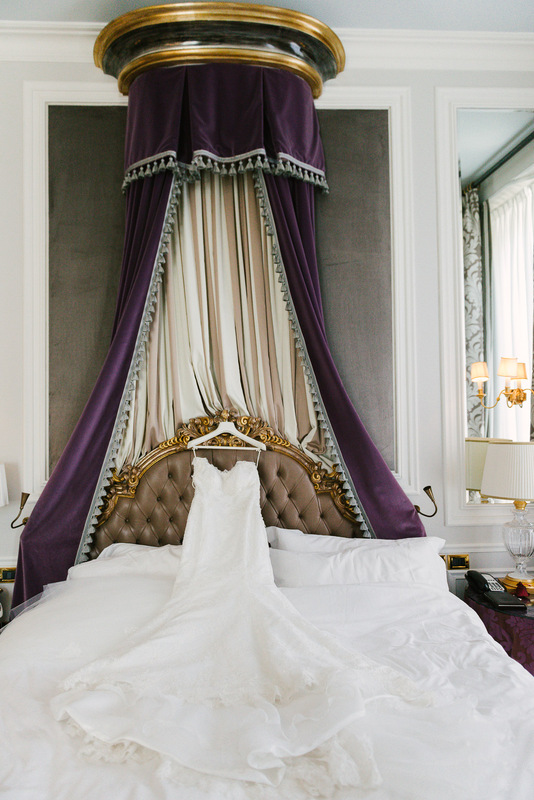 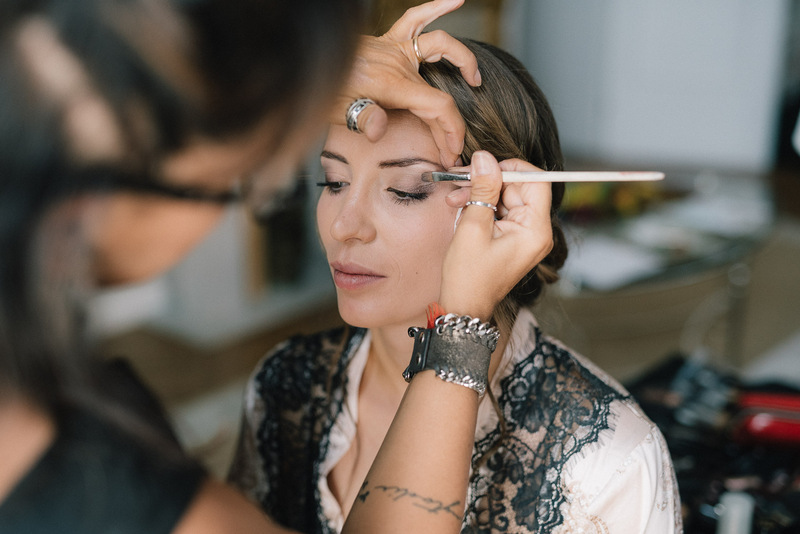 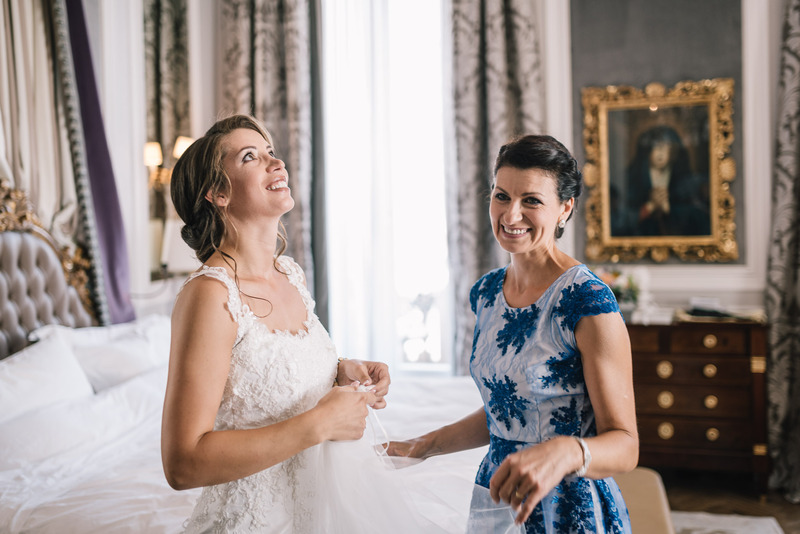 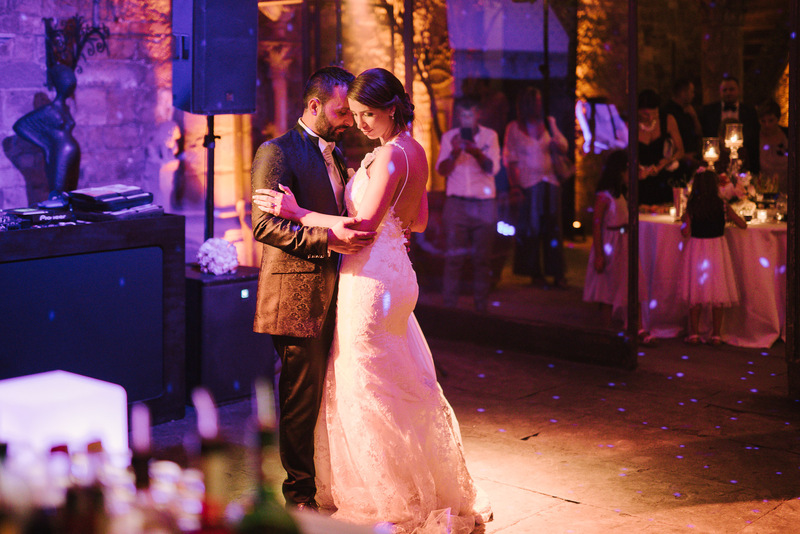 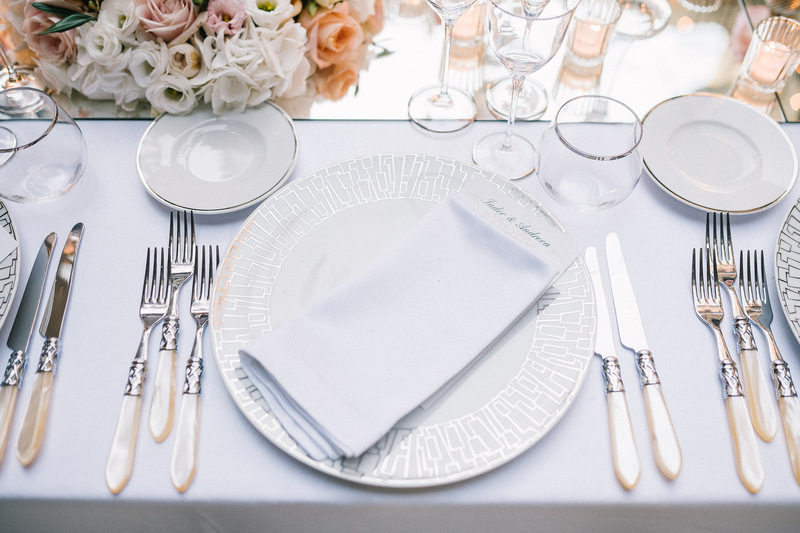 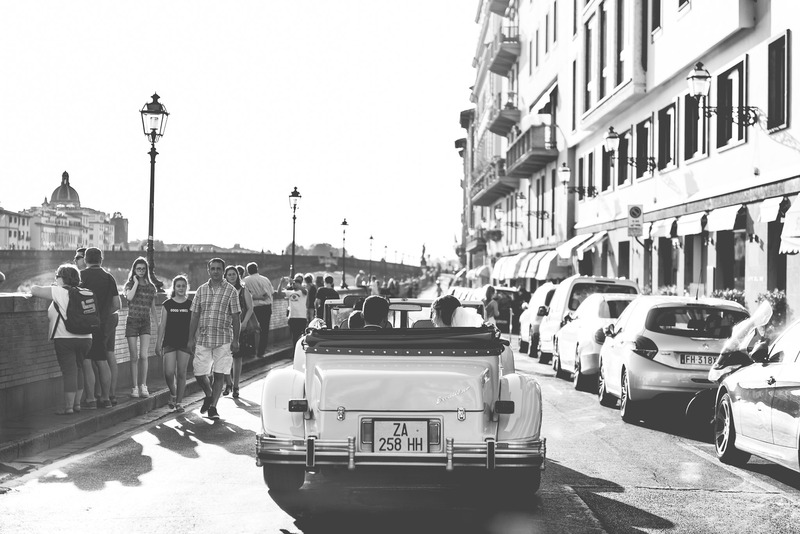 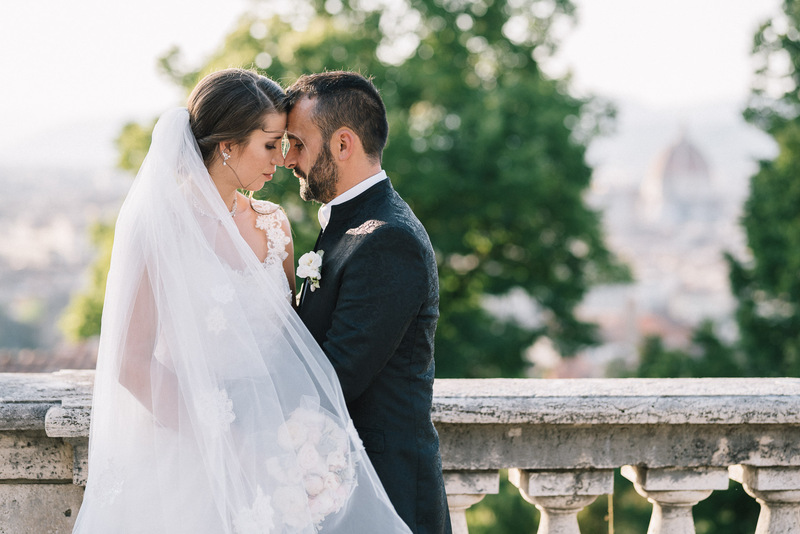 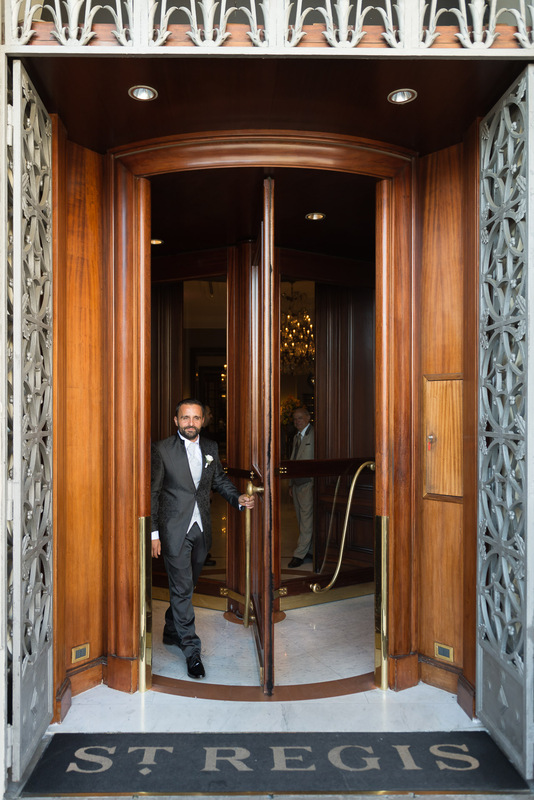 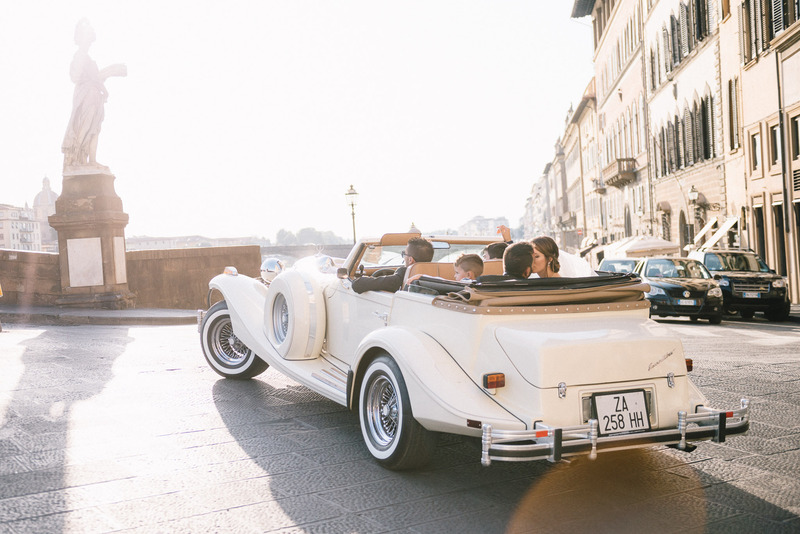 At the end of July, we had the opportunity to take part in a dreamy wedding in Florence. 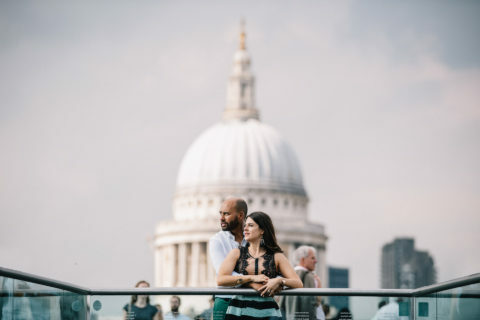 When we first met Andreea and Iader and they told us what they were planning for their wedding we couldn’t be more excited. 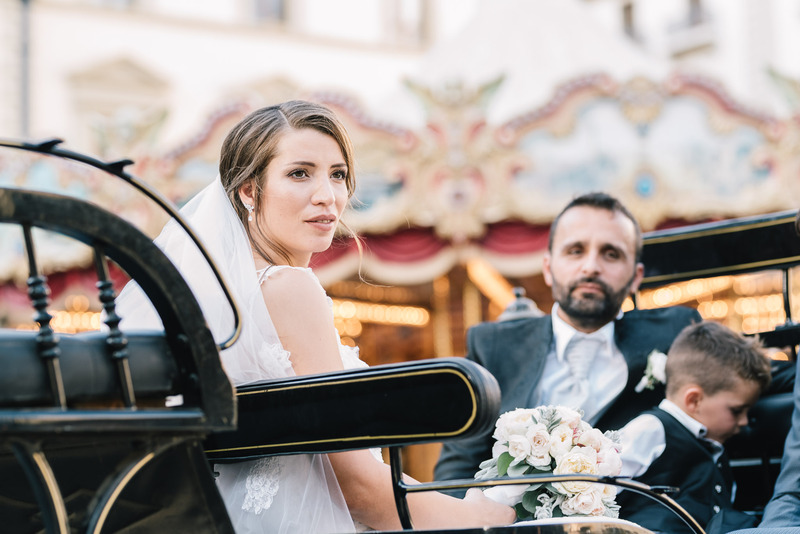 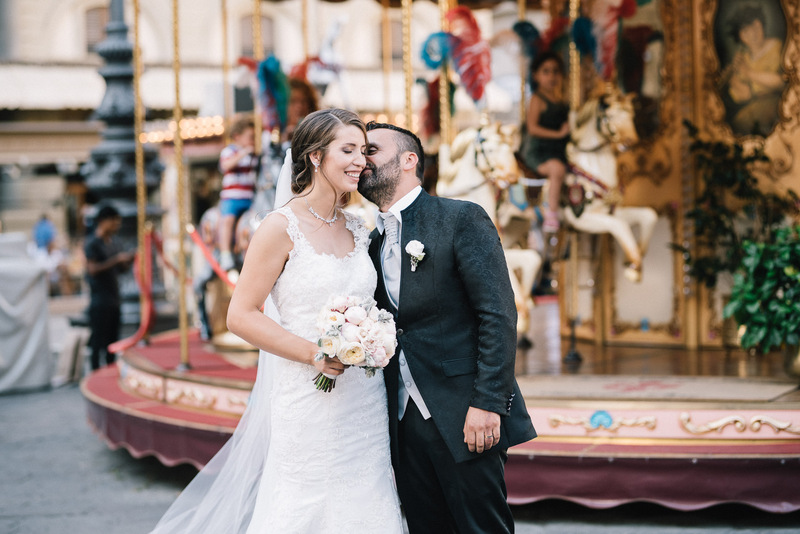 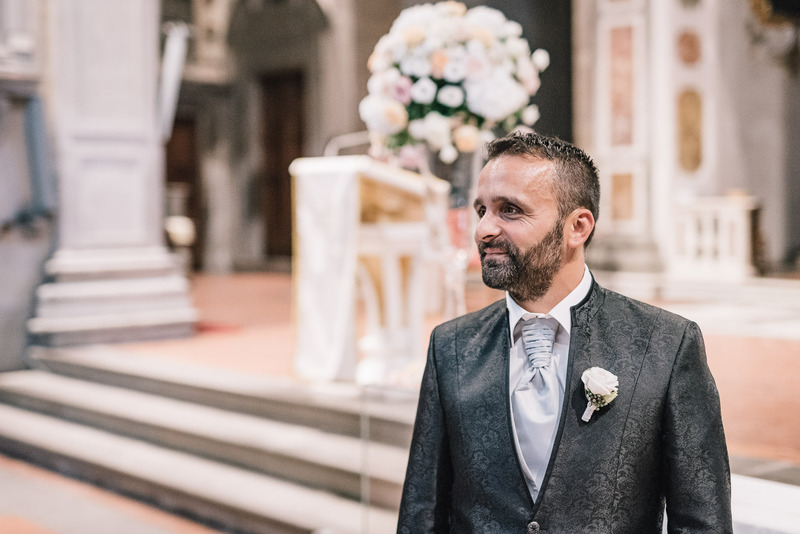 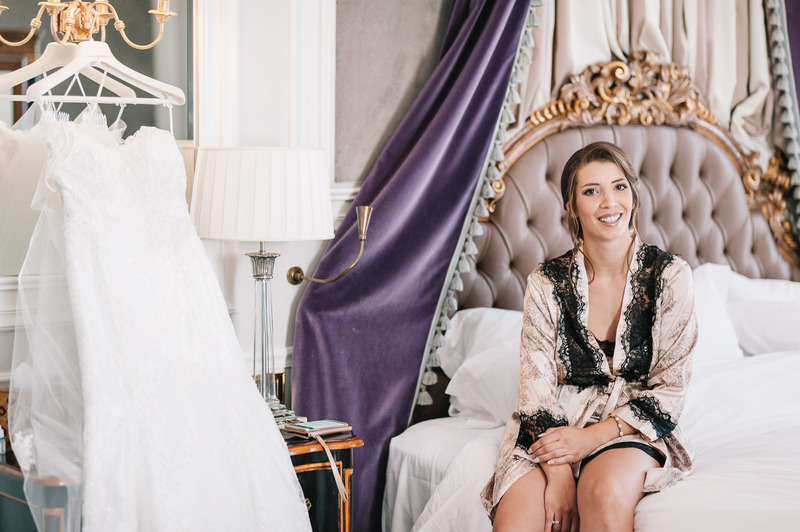 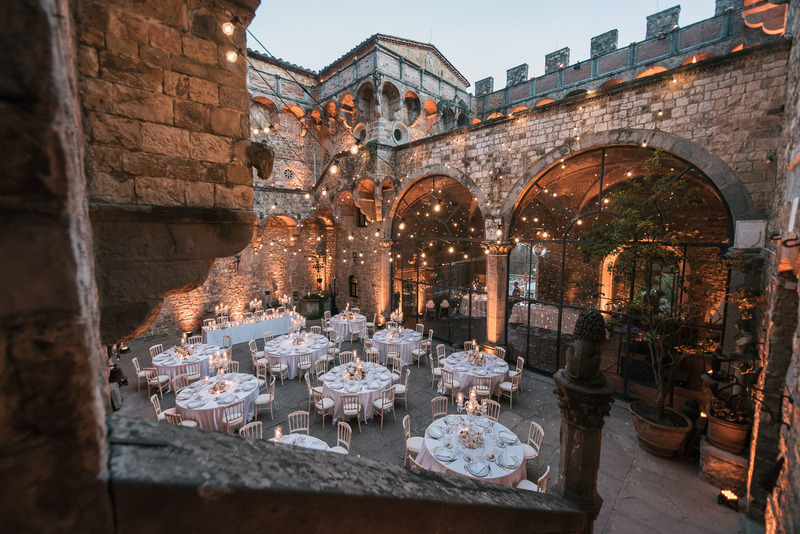 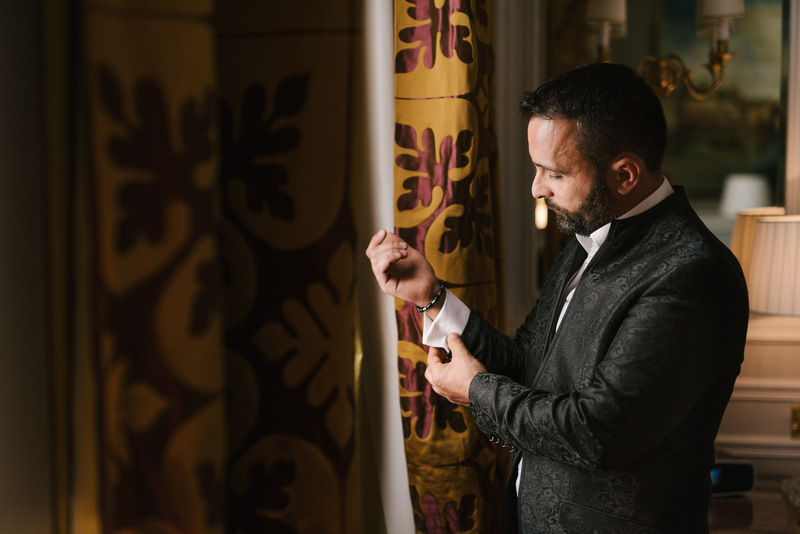 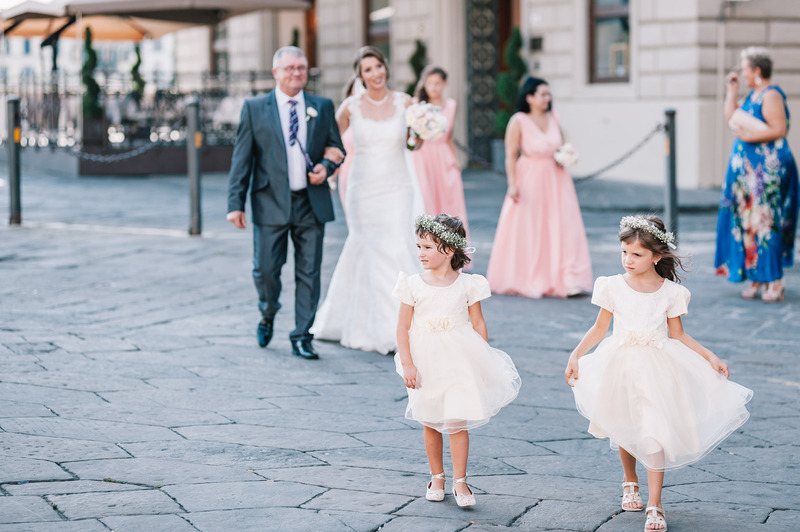 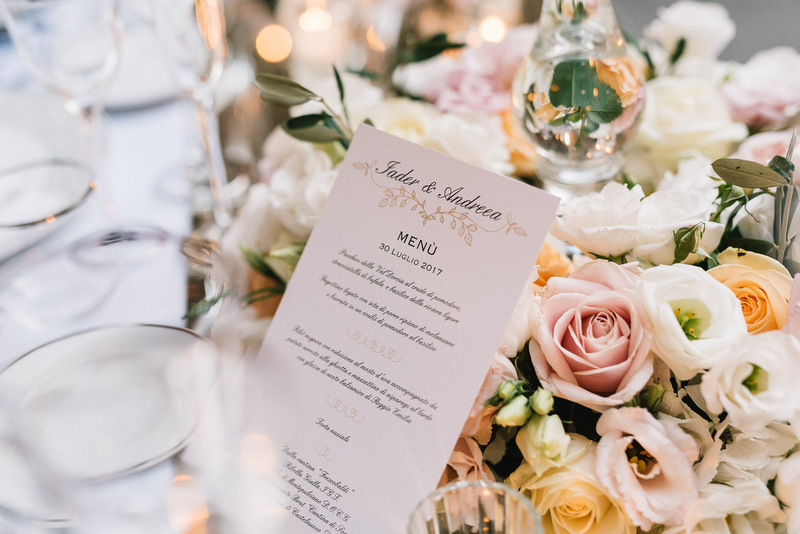 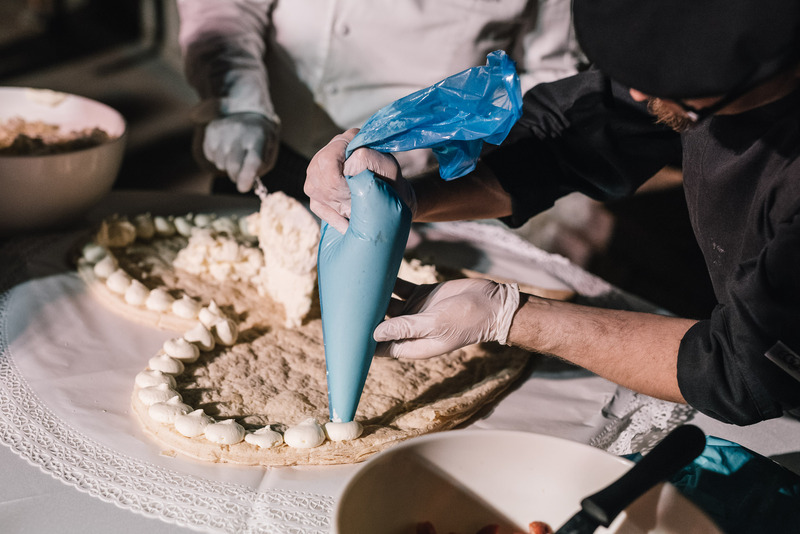 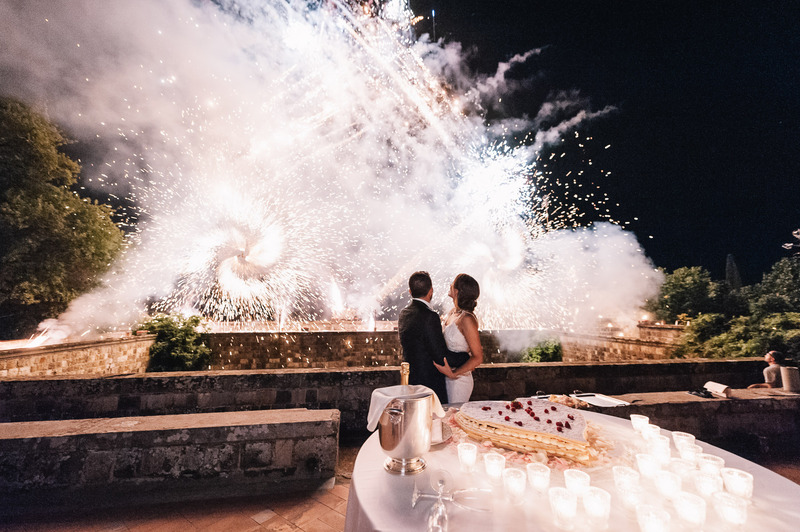 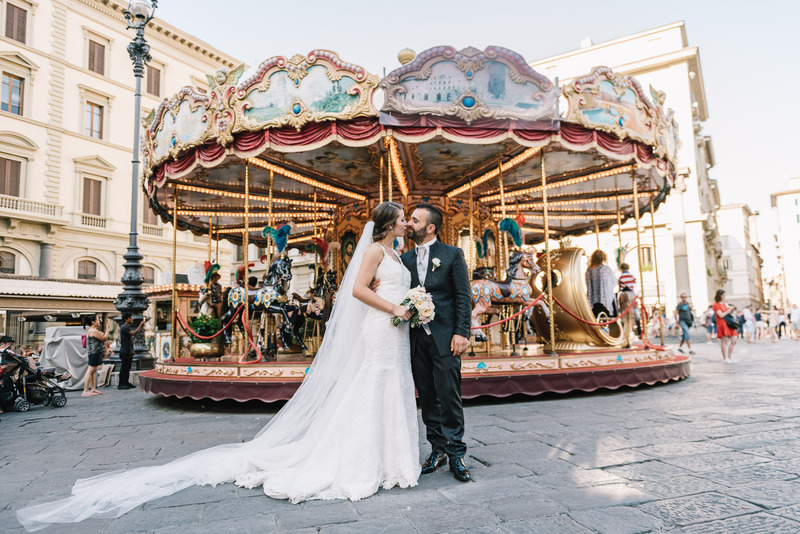 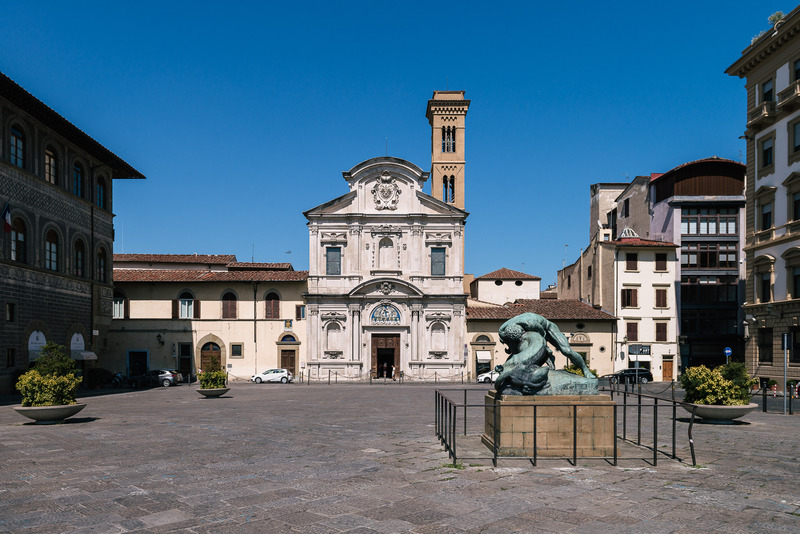 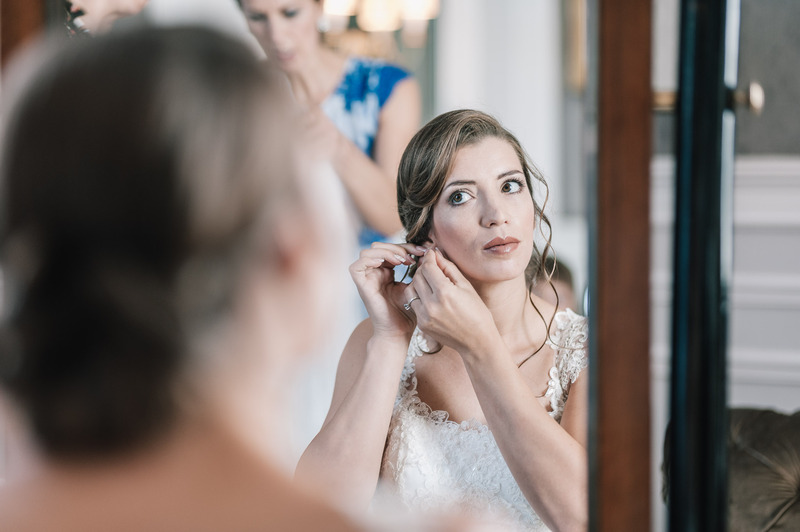 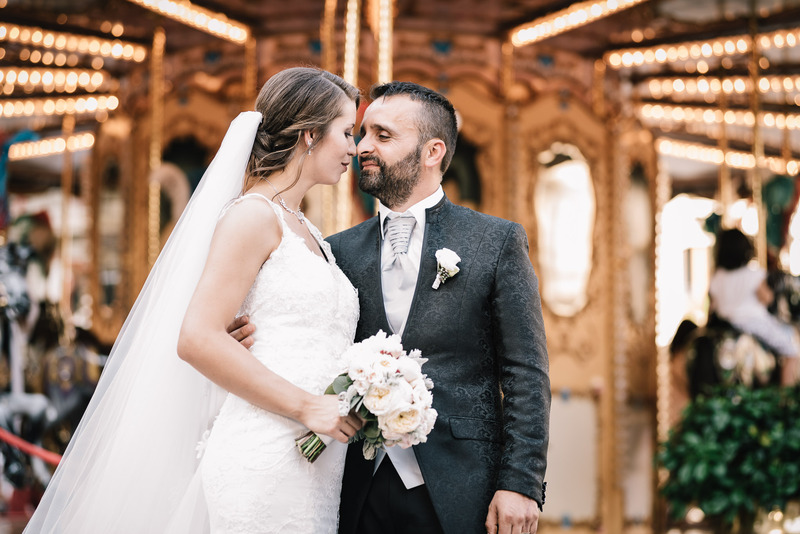 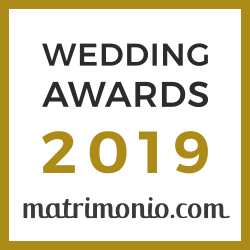 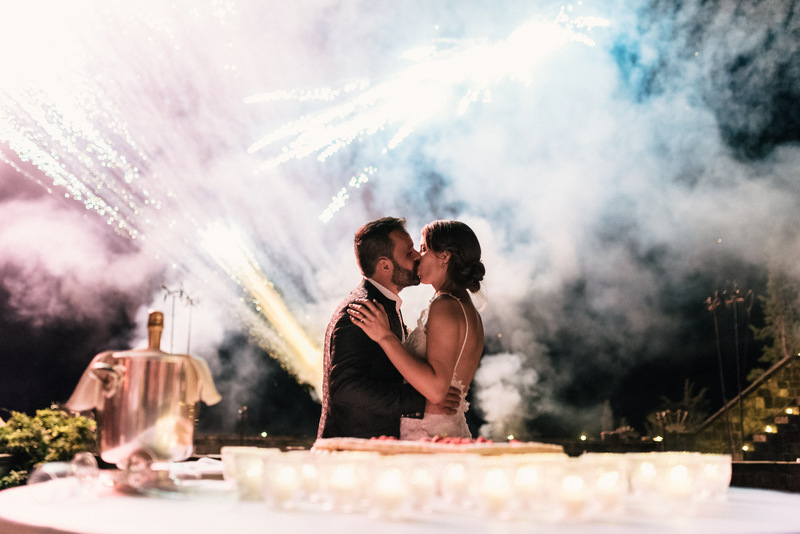 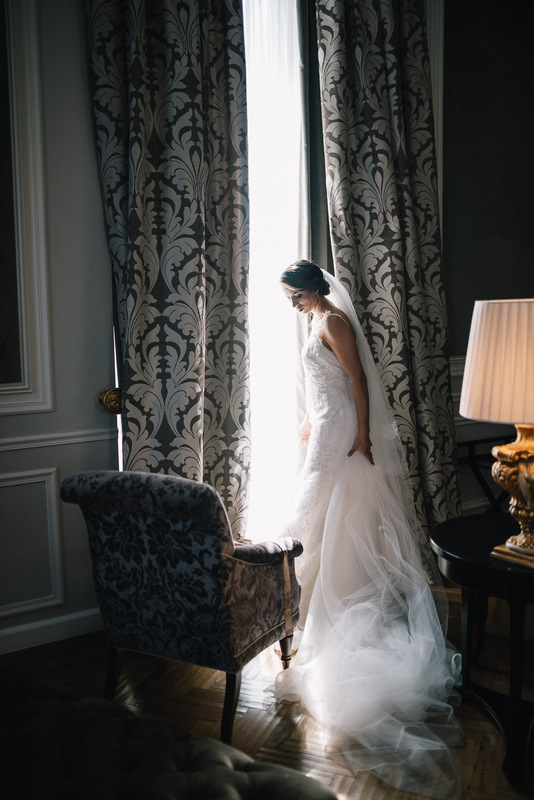 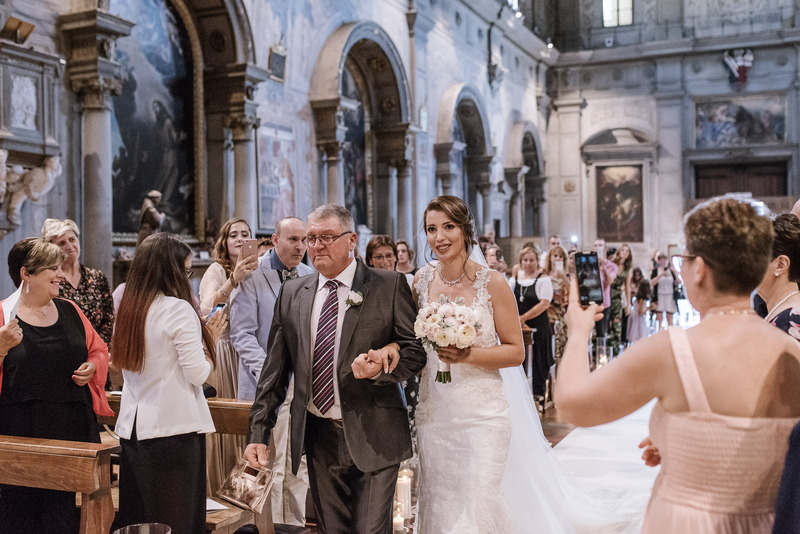 The event was going to involve a ceremony in a Baroque church in the heart of Florence, a horse-drawn carriage, a colorful carousel, a vintage car, a reception in an enchanting Castle on the hills and a breathtaking fireworks show! 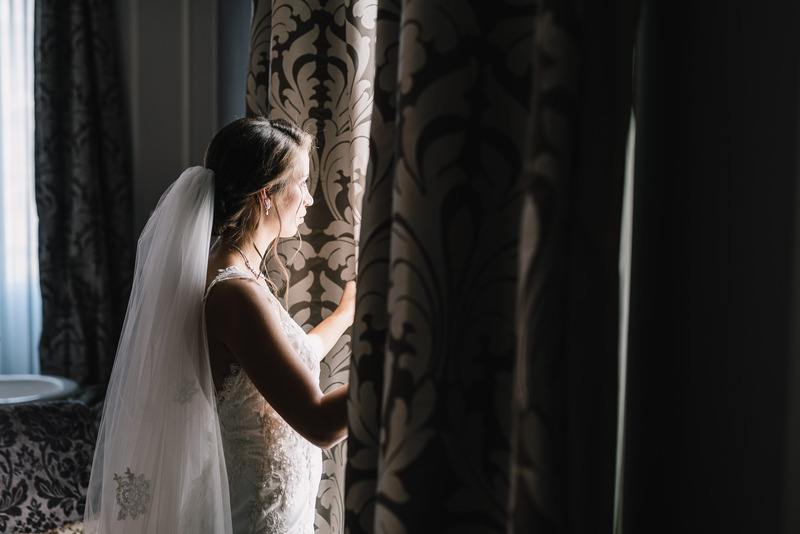 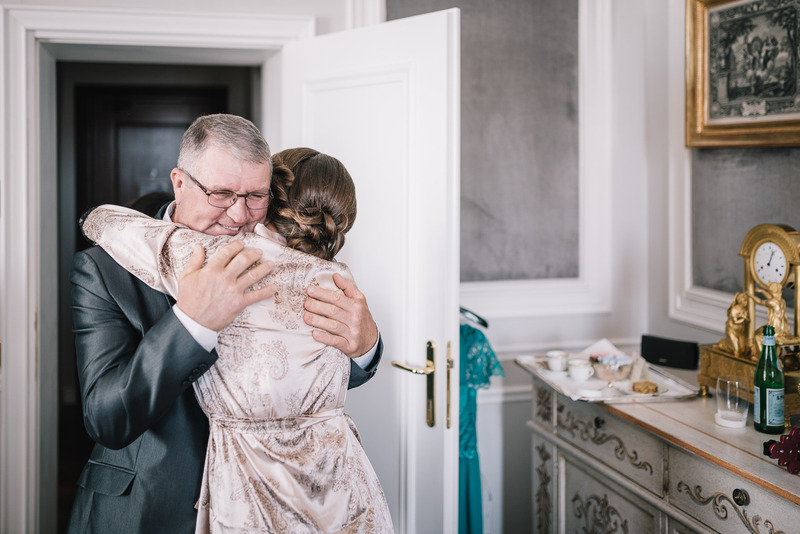 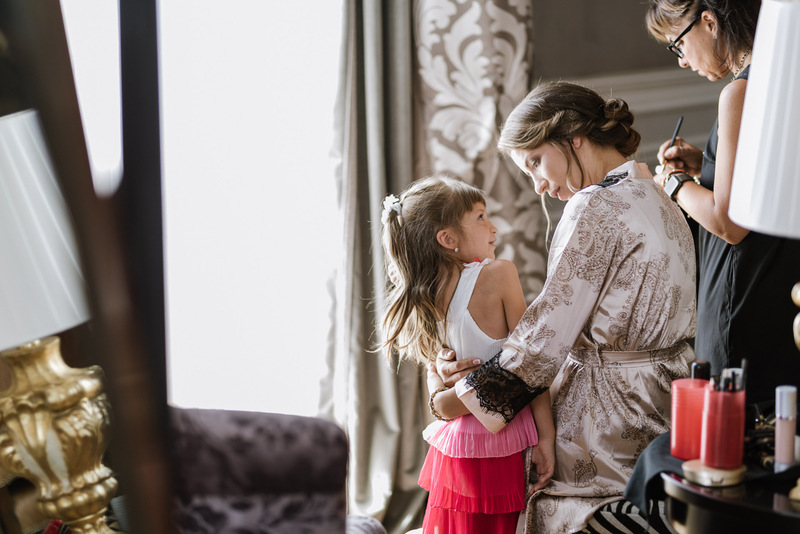 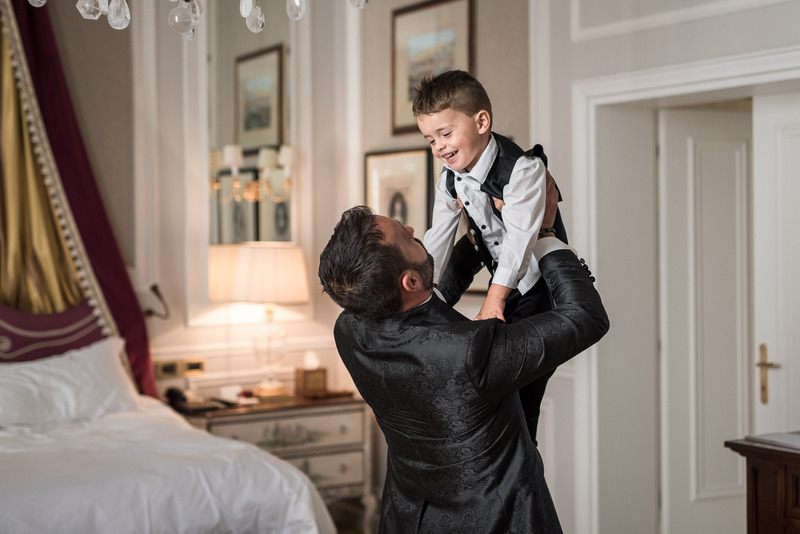 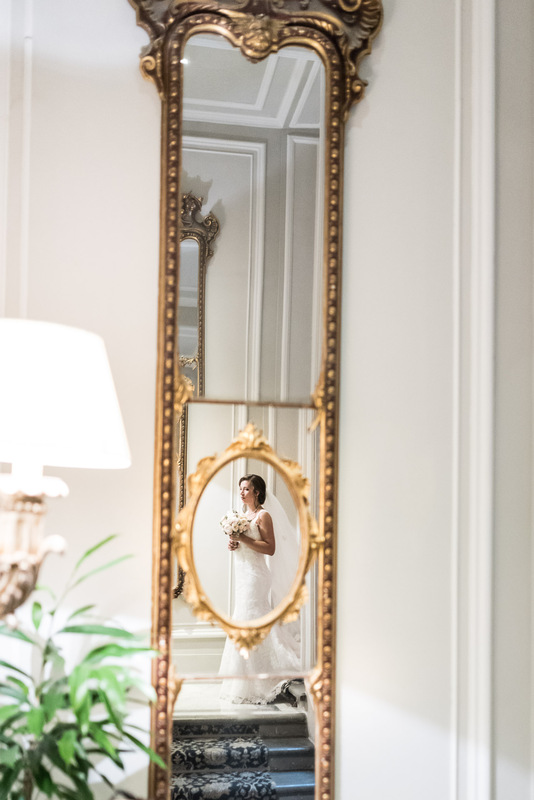 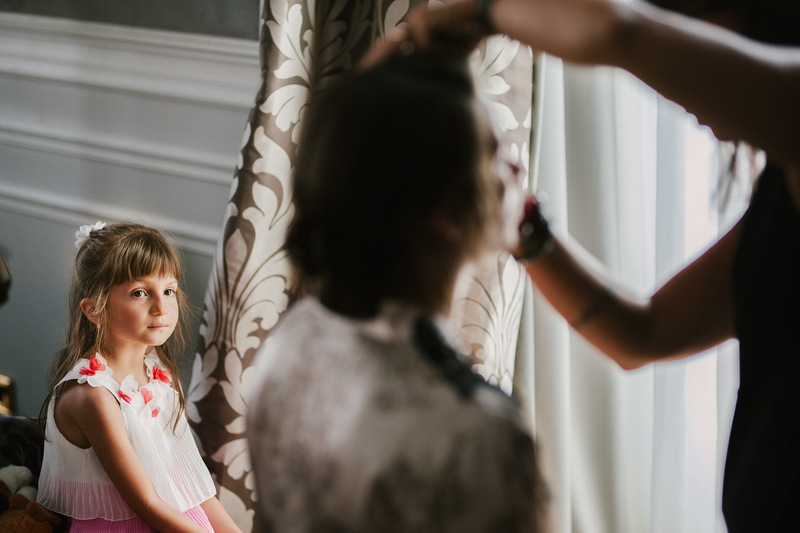 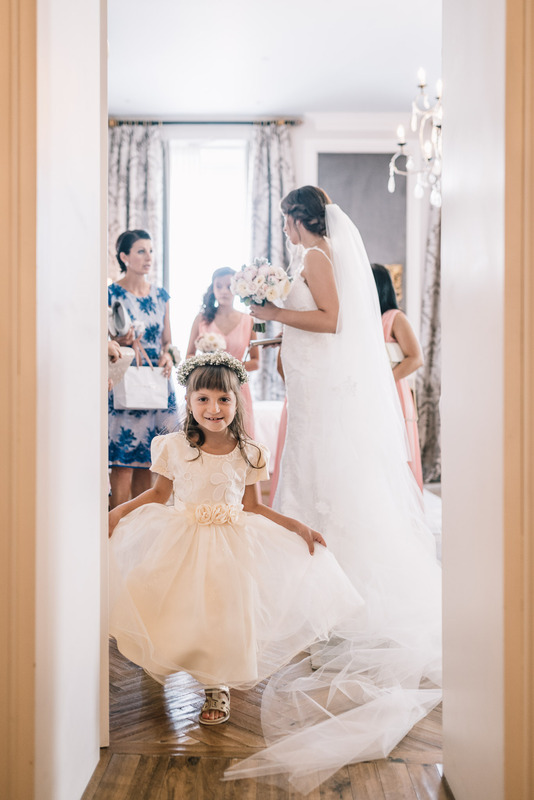 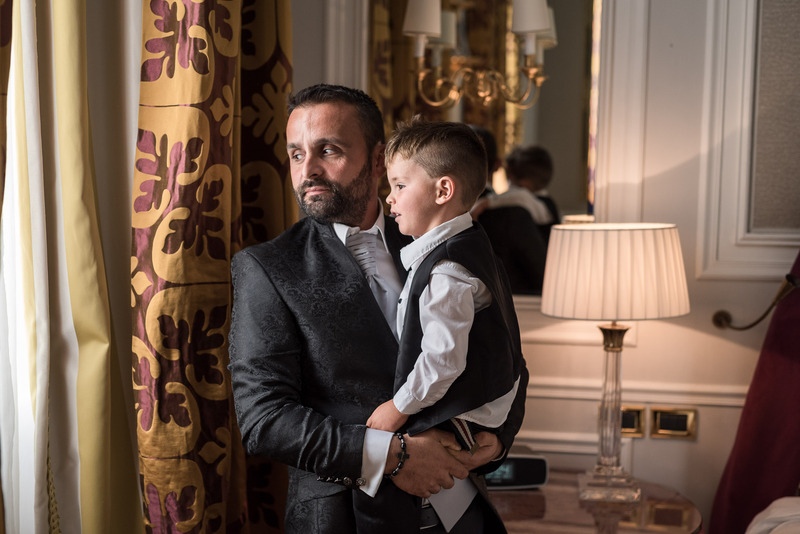 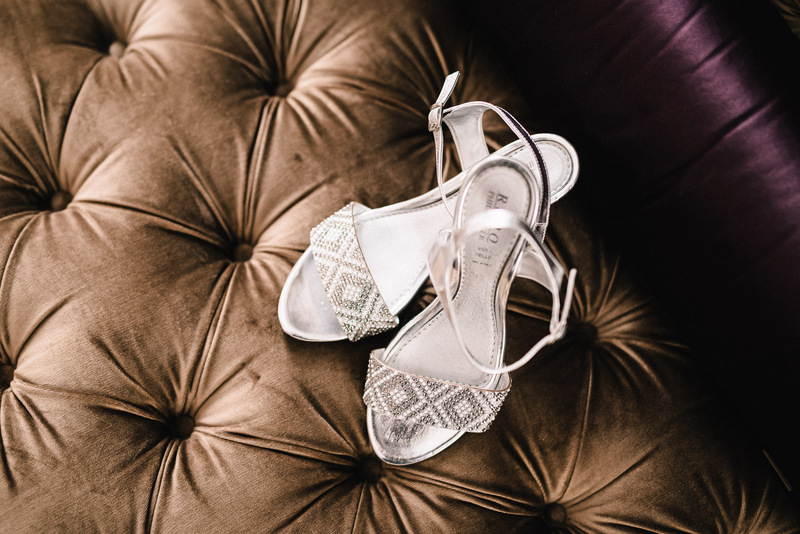 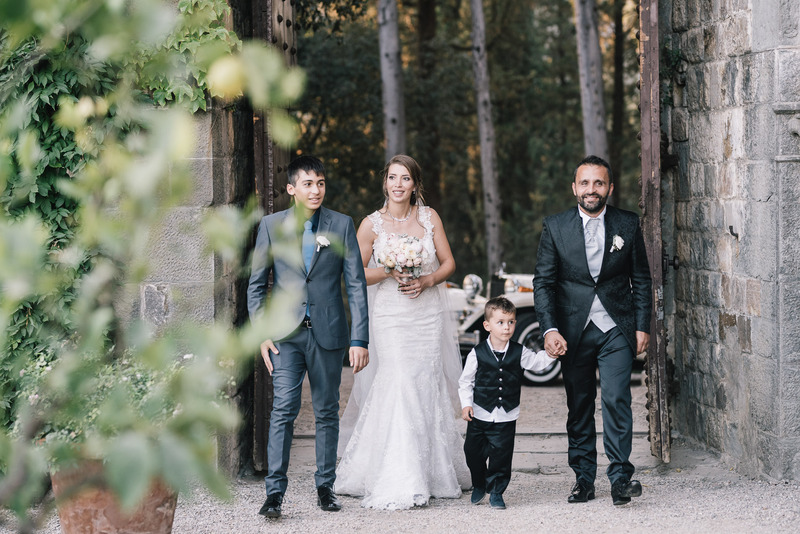 We couldn’t wait for their big day to come and we loved every moment! 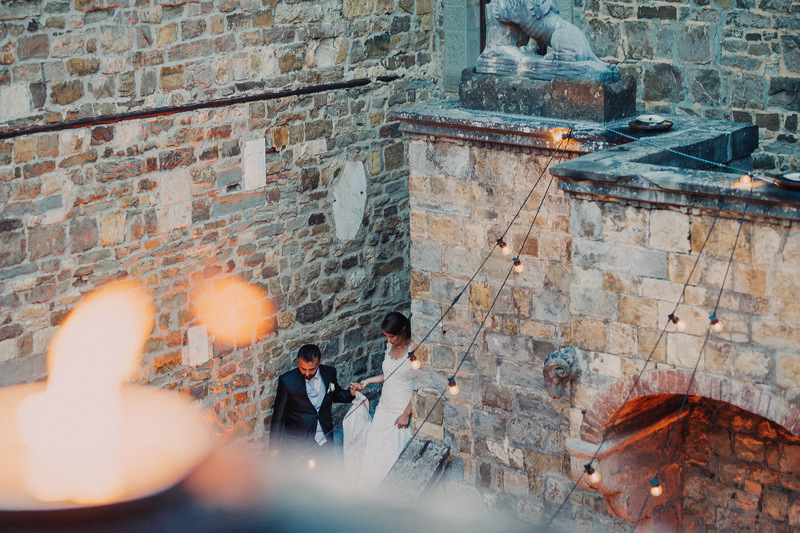 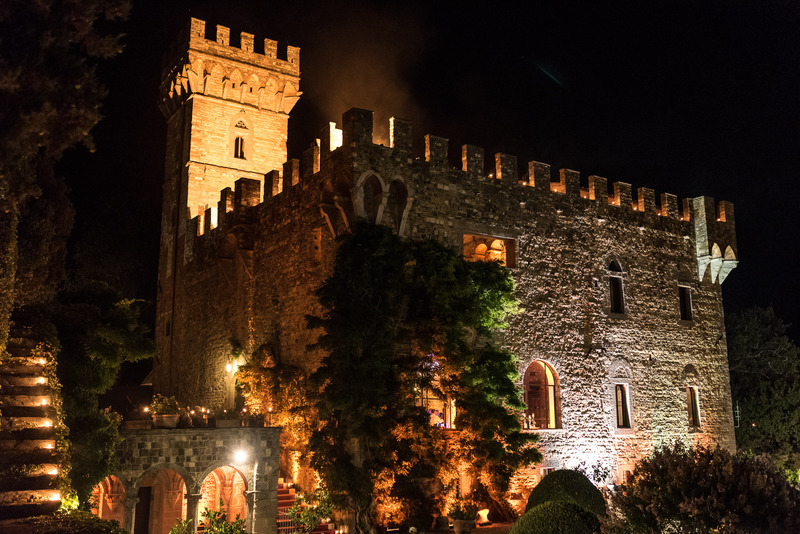 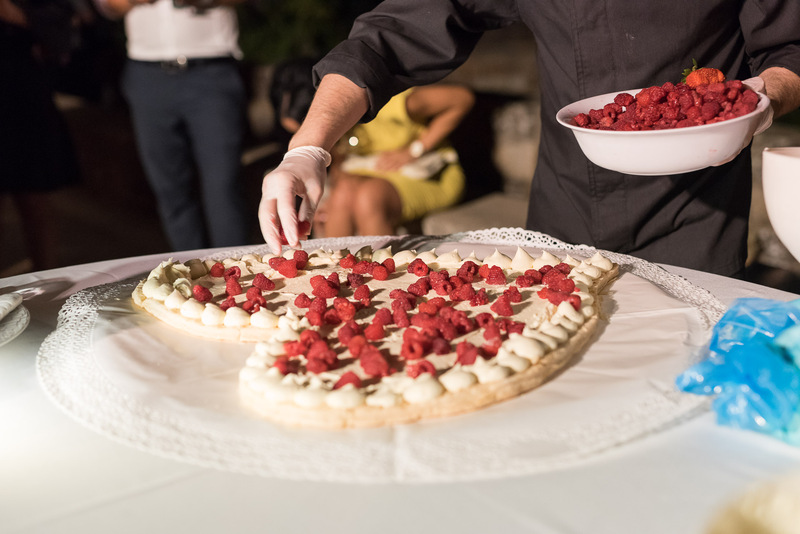 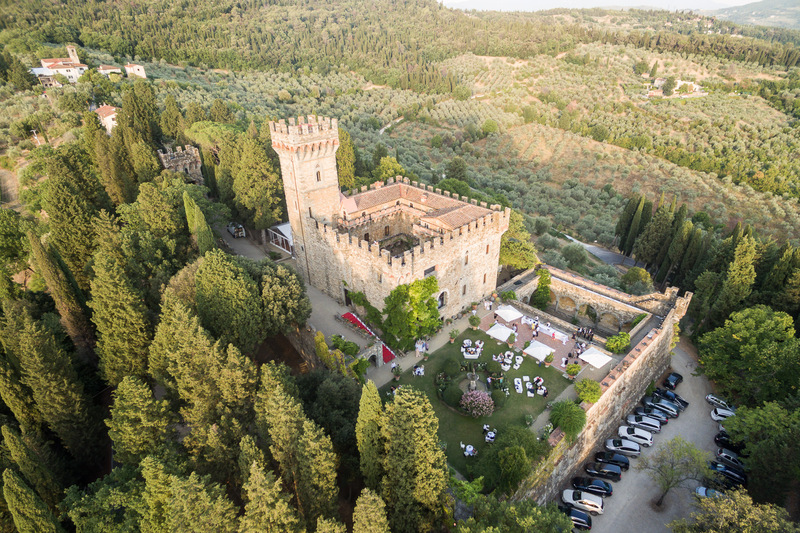 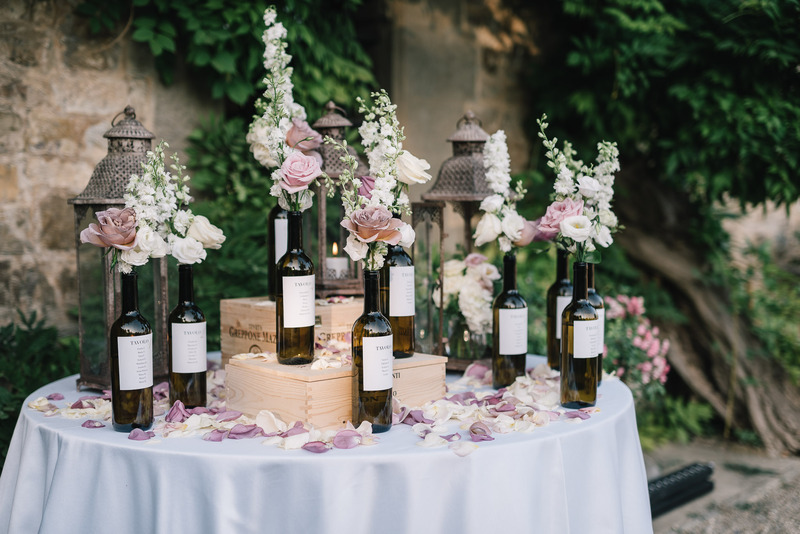 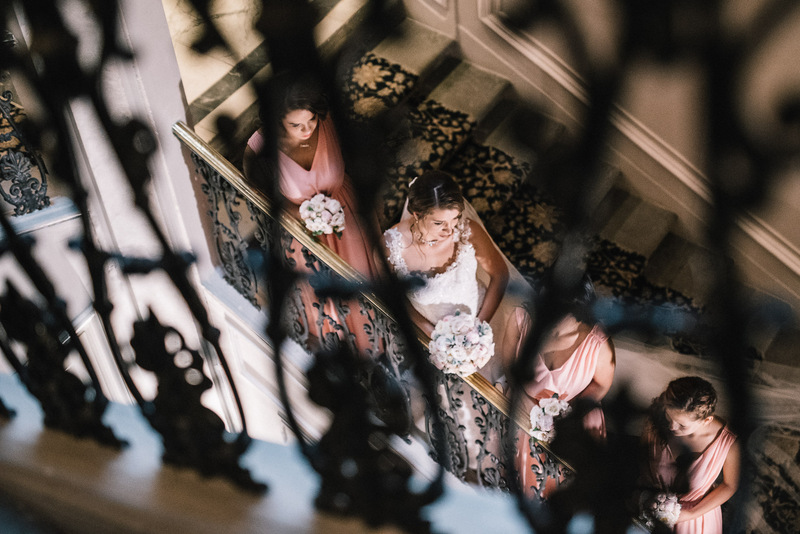 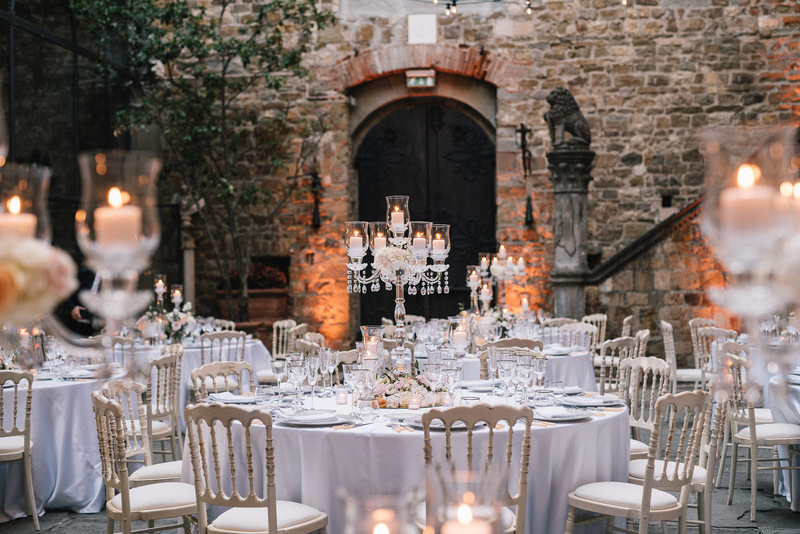 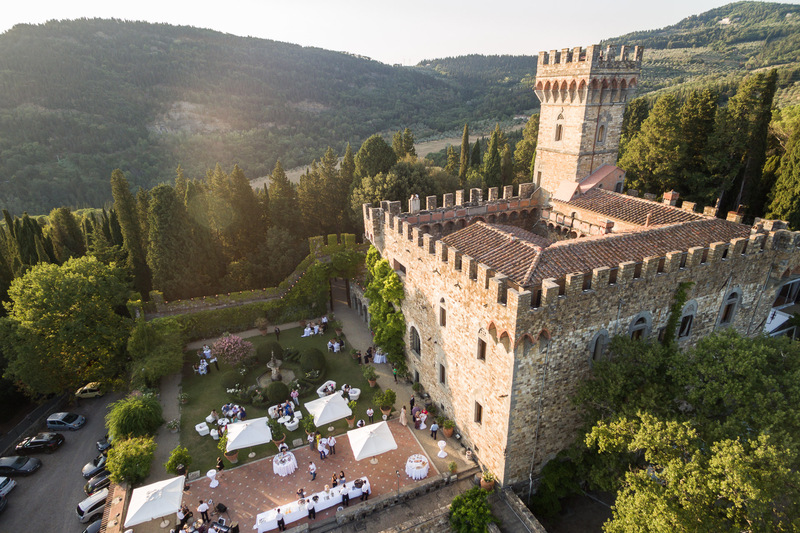 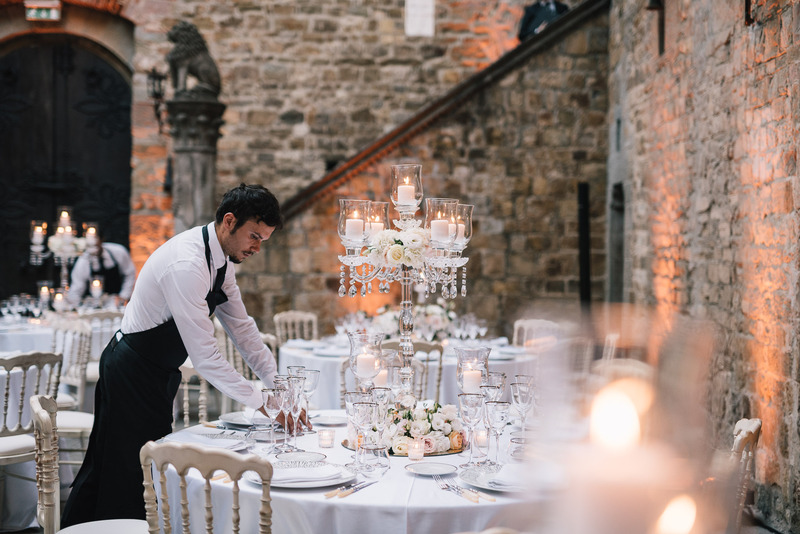 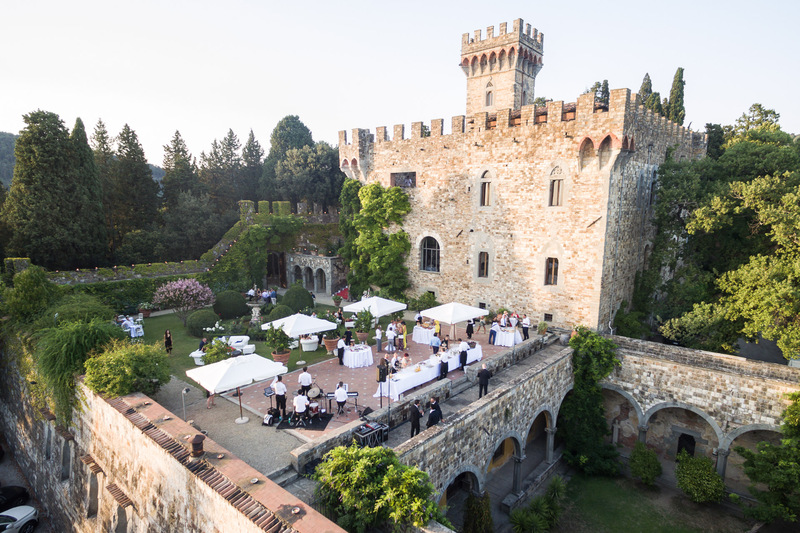 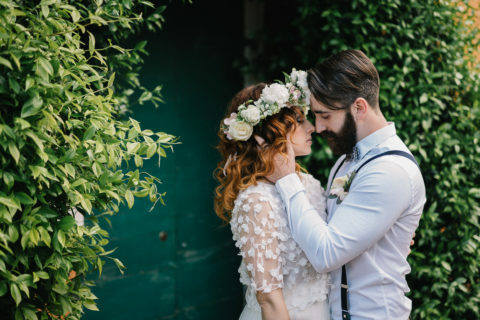 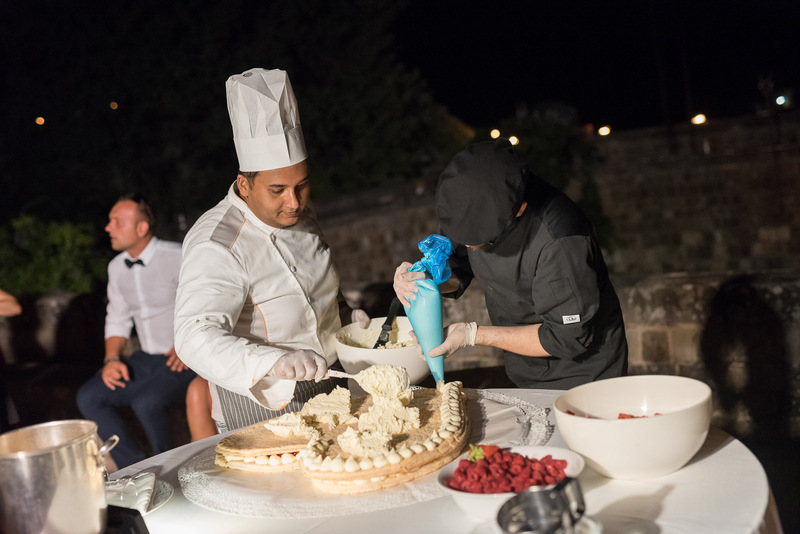 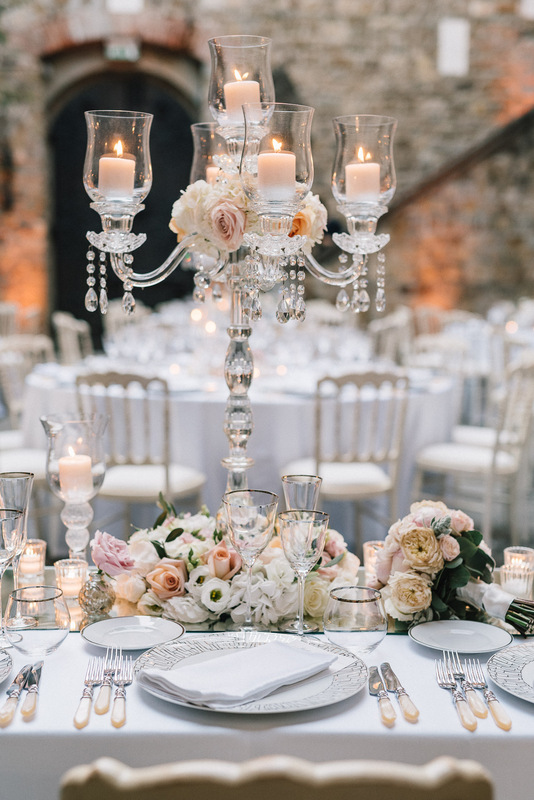 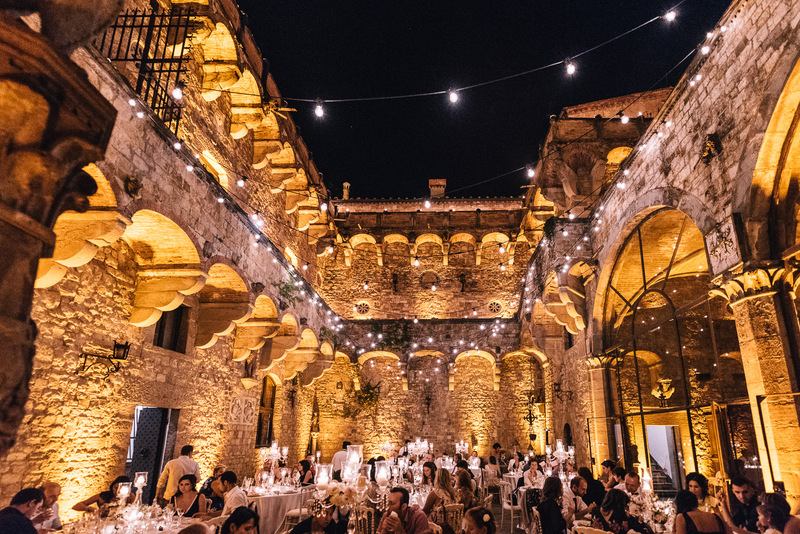 Thanks to the great wedding planning of Bianco Bouquet and their outstanding work, Andreea and Iader created the perfect event for their international guests, who were surrounded by a magical and fairy atmosphere at Castello di Vincigliata. 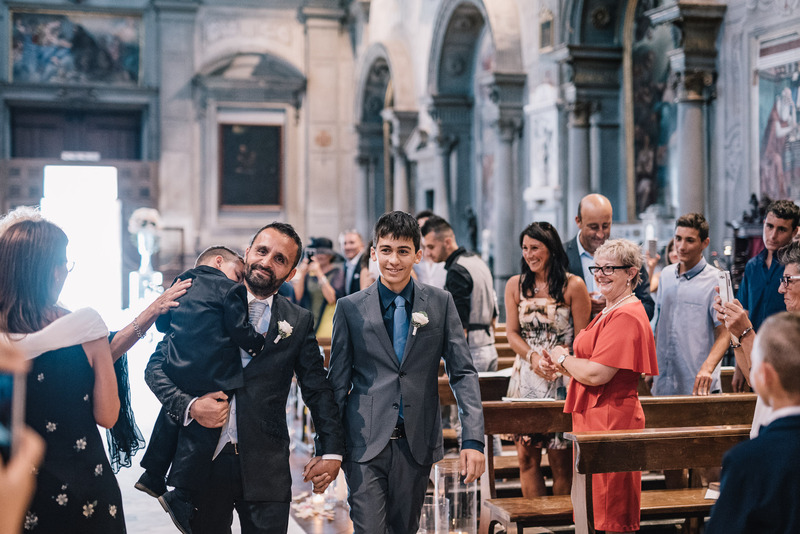 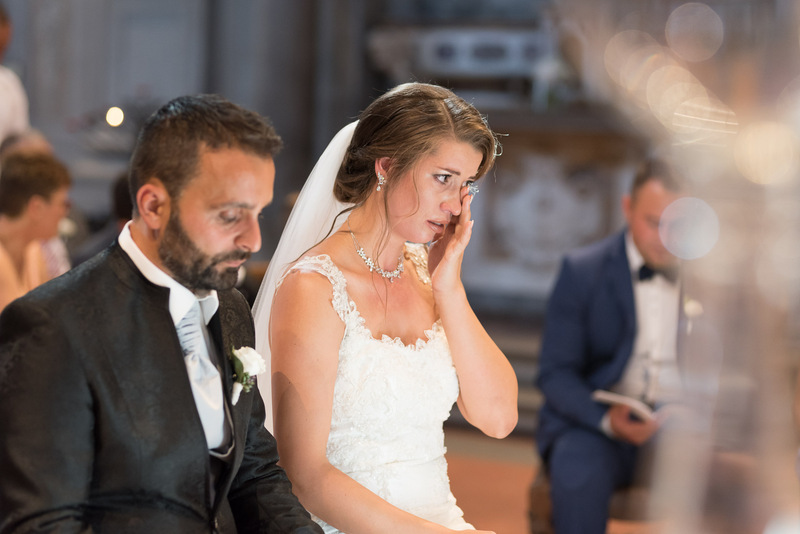 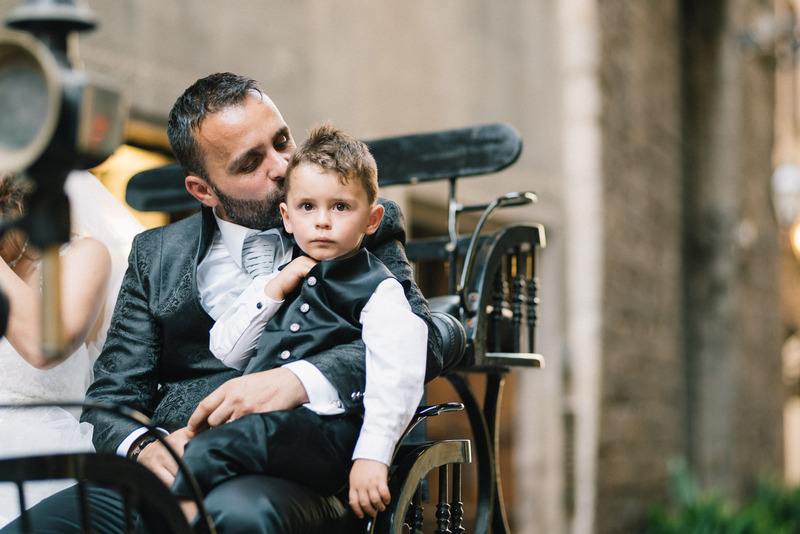 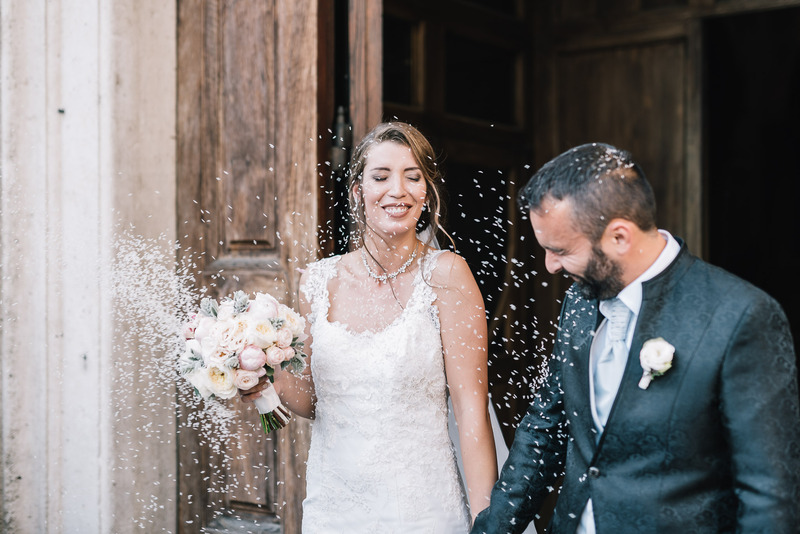 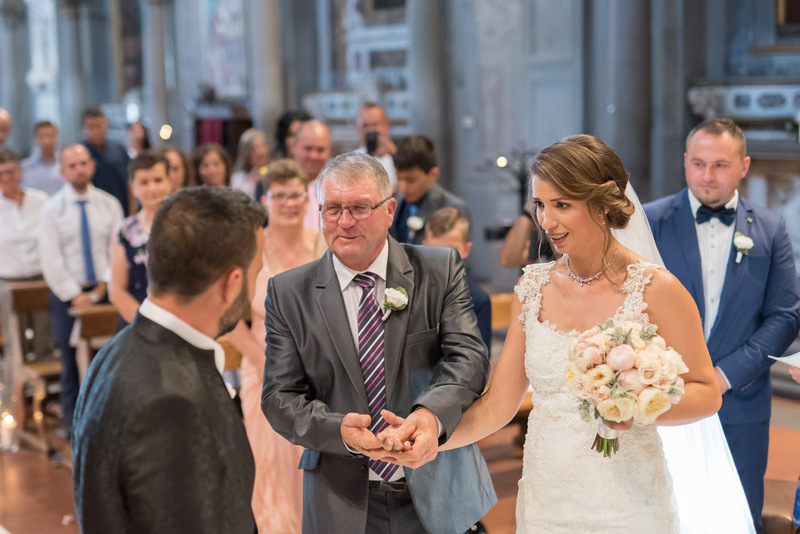 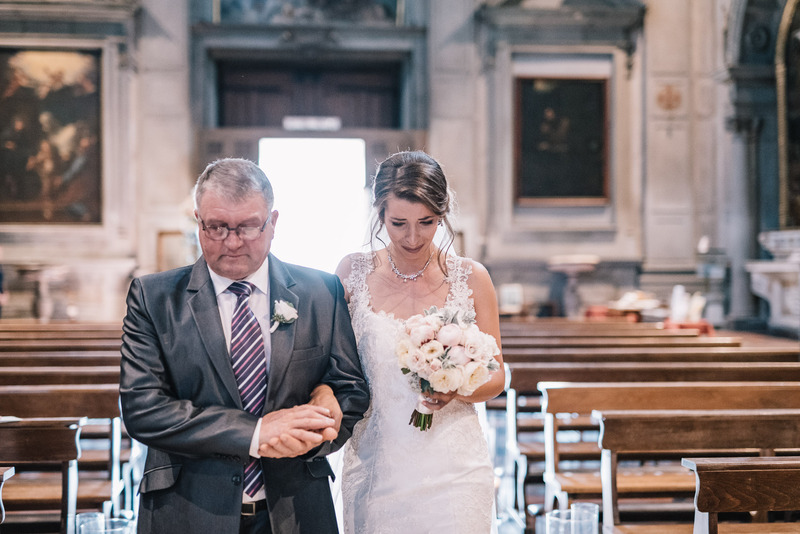 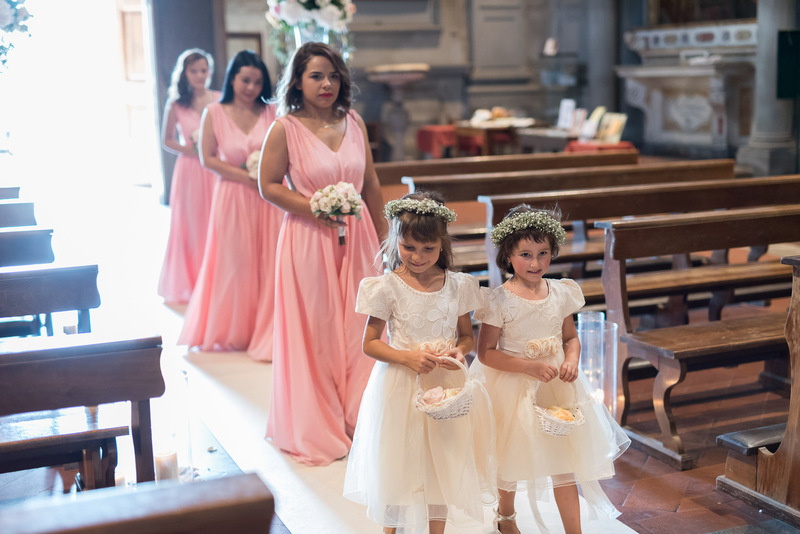 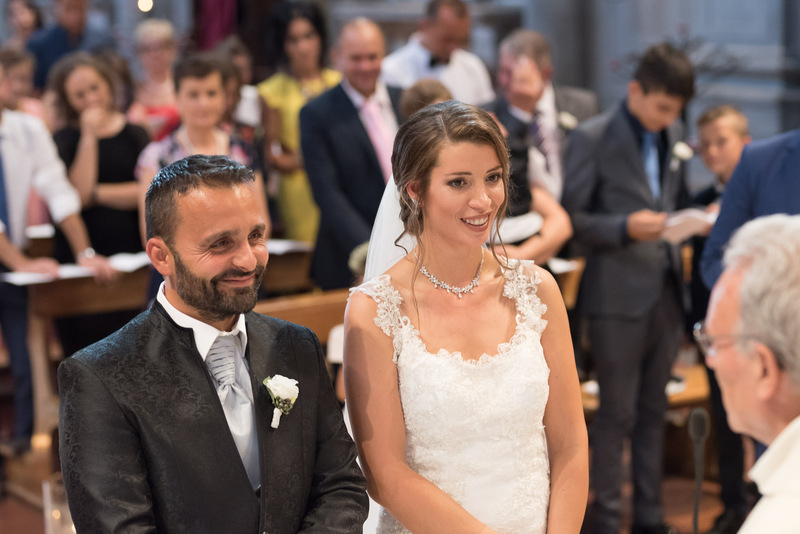 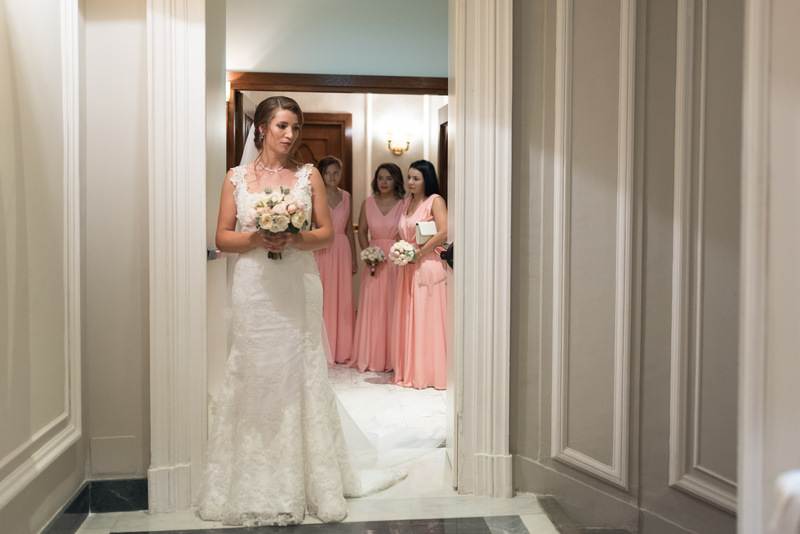 Andreea and Iader decided to have their ceremony celebrated at Chiesa di Ognissanti. 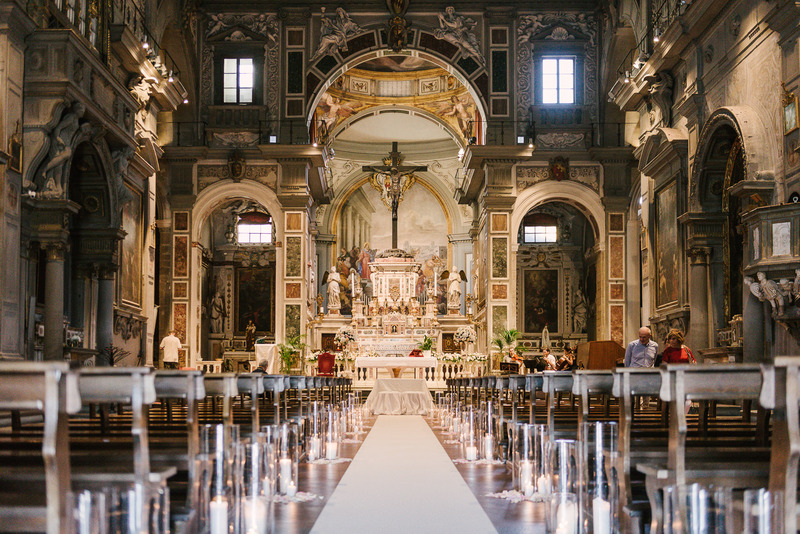 It was such an honor for us to shoot a wedding in a church decorated by Giotto! 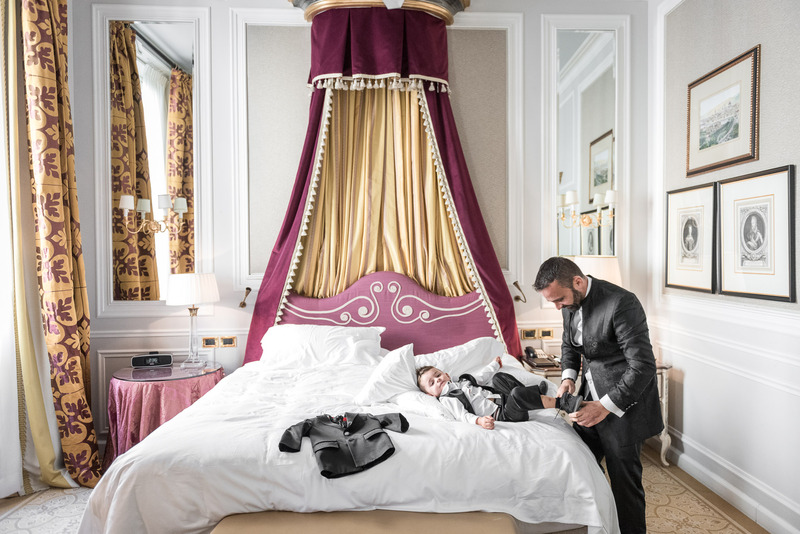 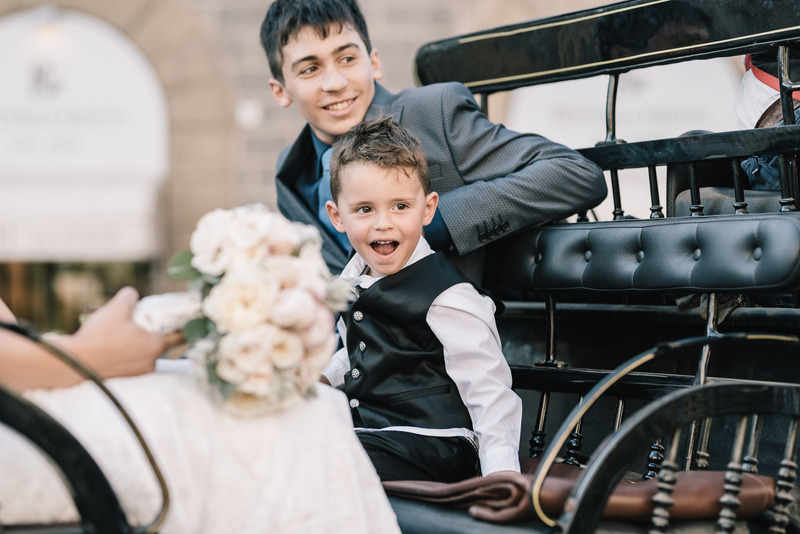 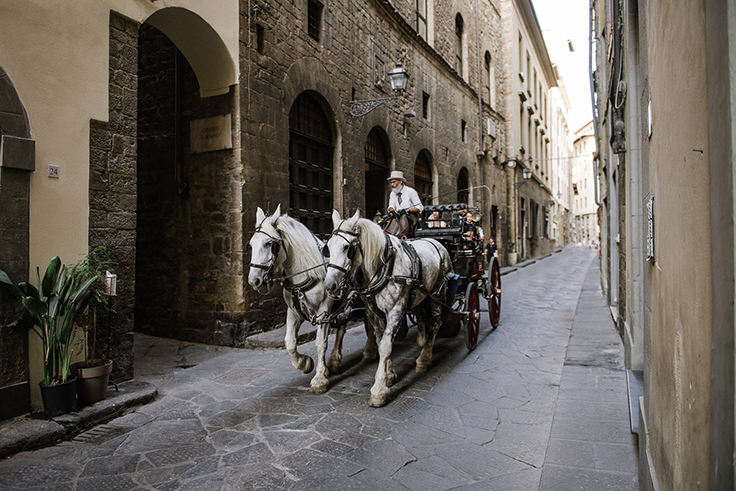 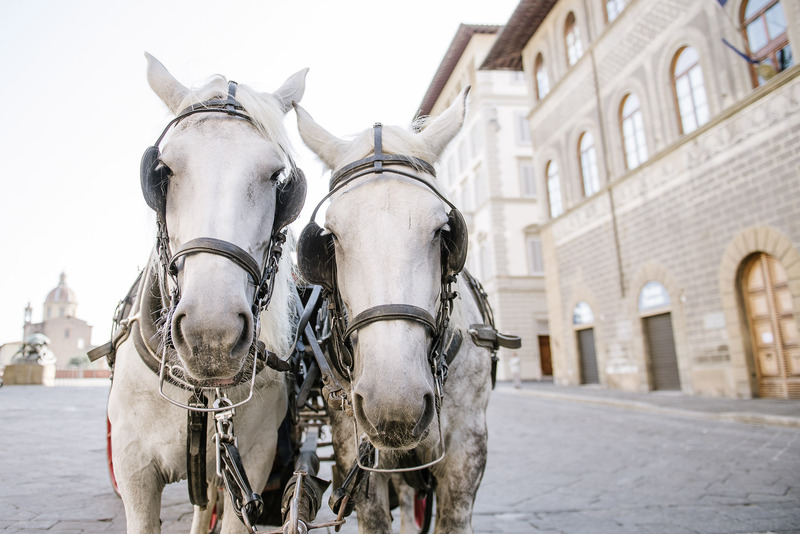 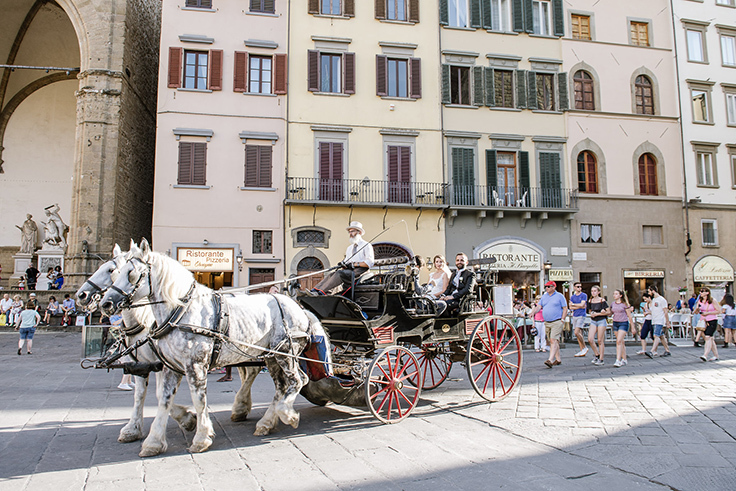 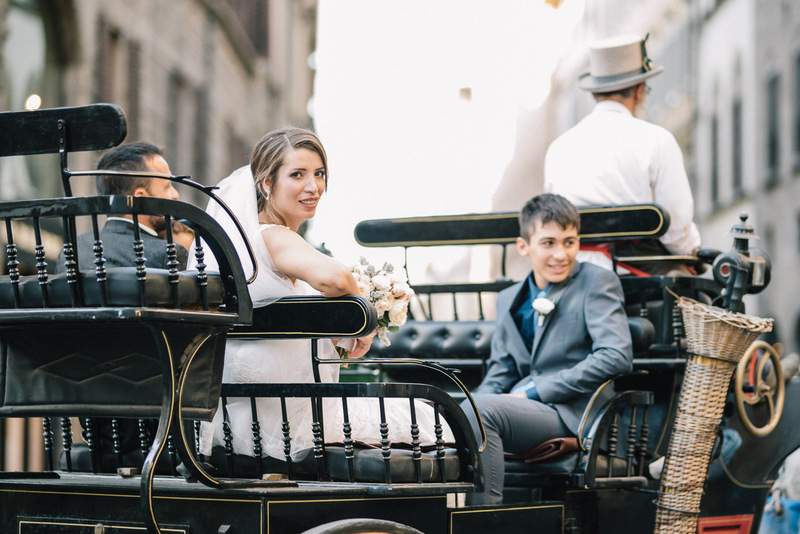 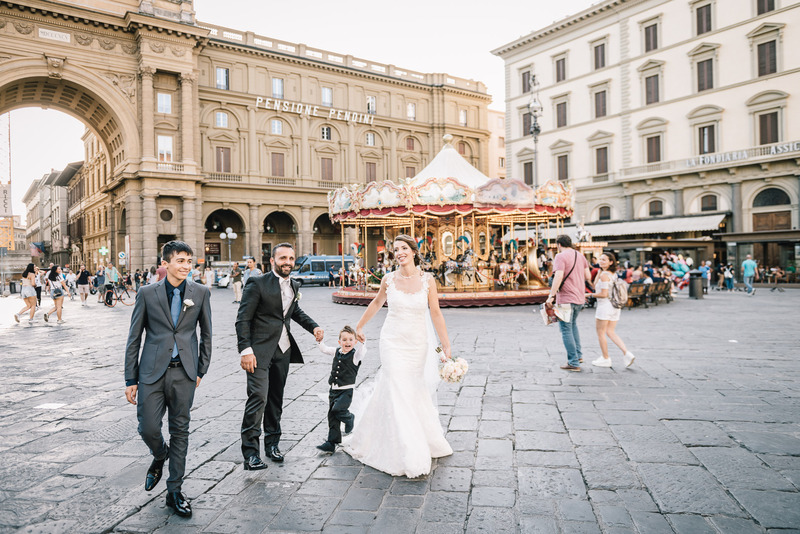 After the ceremony, Bride and Groom together with their kids took a lovely tour of Florence on a horse-drawn carriage. 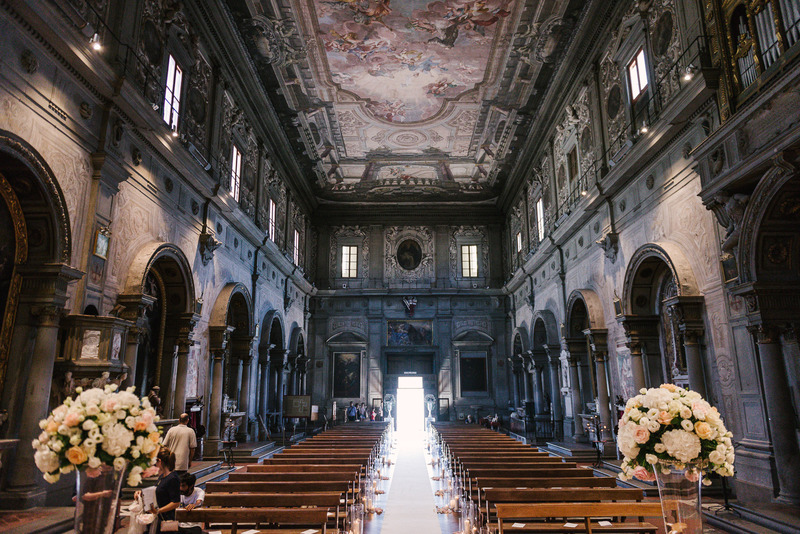 At the end of the tour, they moved to the scenic Church of San Miniato for some more pictures. 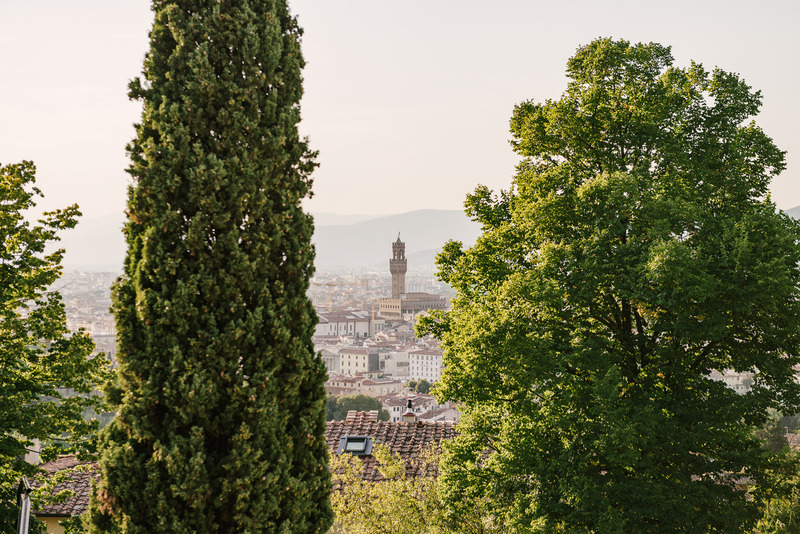 San Miniato is such an incredible spot for couples portrait as it offers one of the best landscapes of Florence! 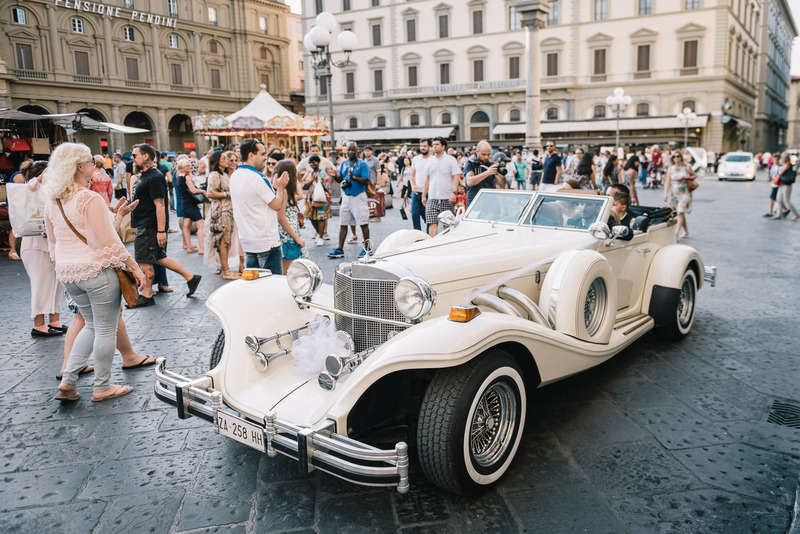 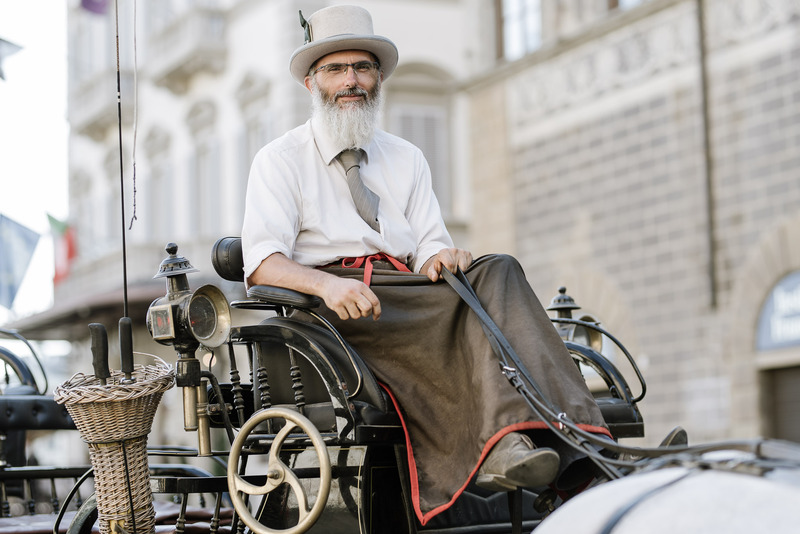 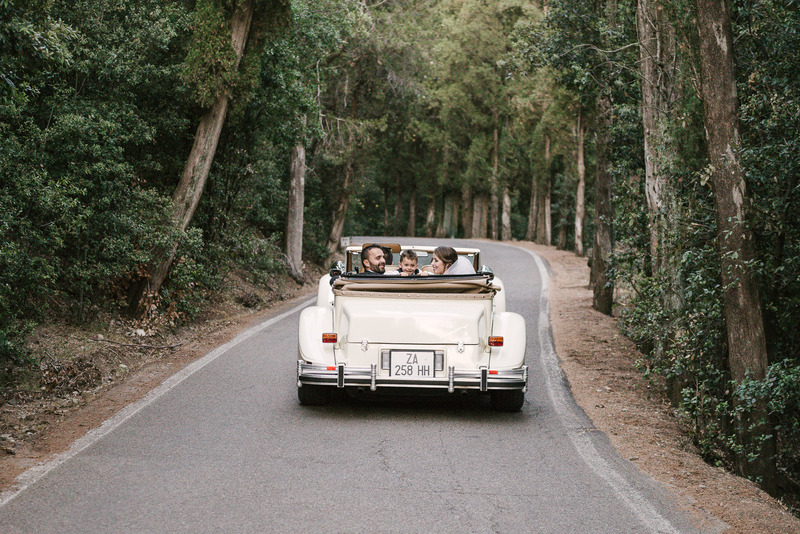 Later on, Andreea and Iader moved to the enchanting Castello di Vincigliata driving a vintage Excalibur Phaeton IV across the rolling hills of Florence. 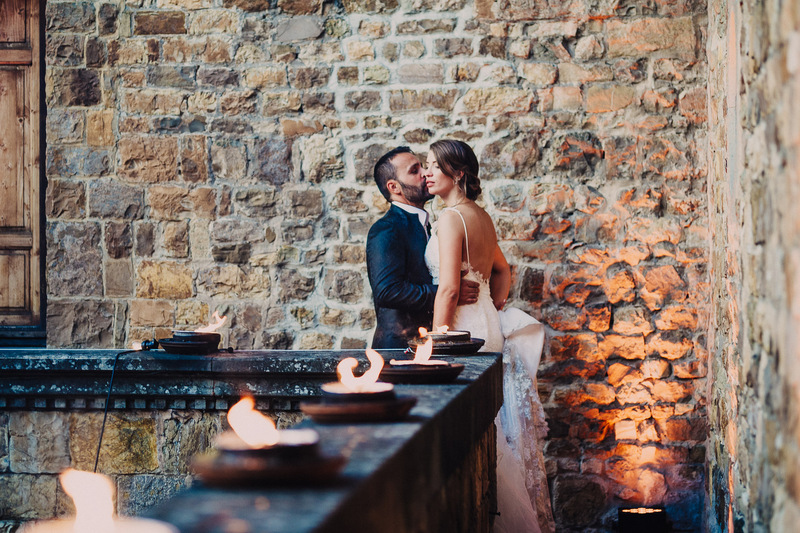 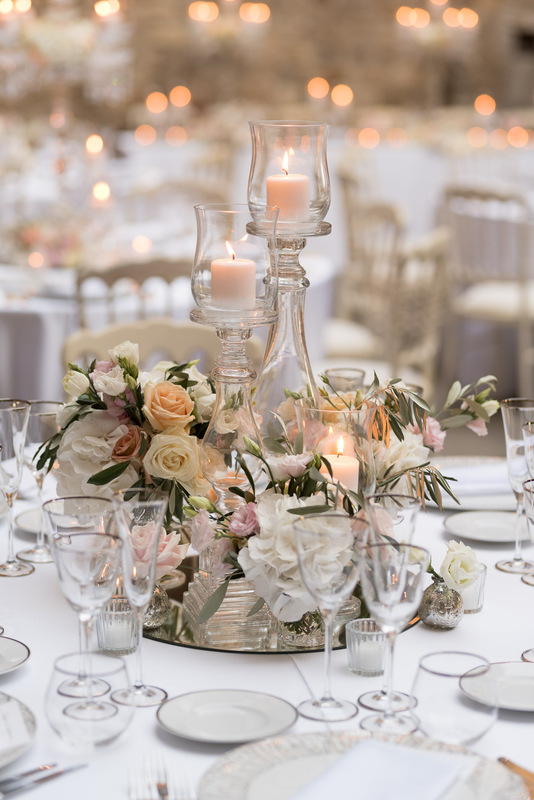 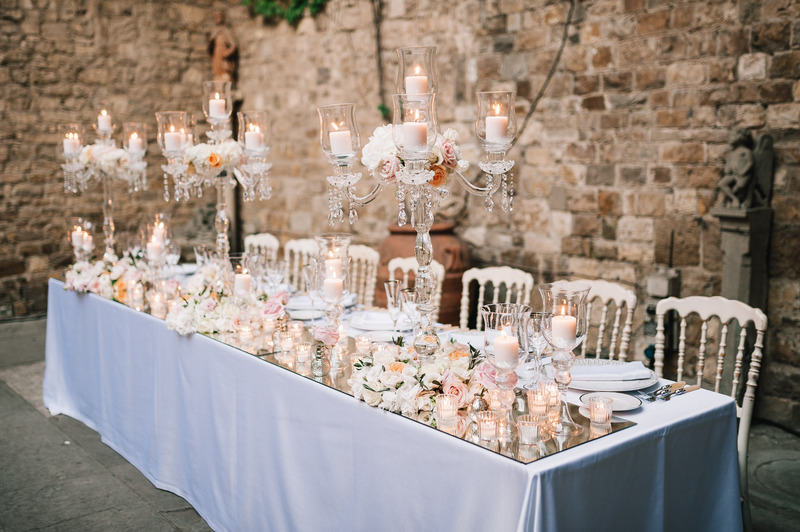 The reception was beautifully set and the dinner was served in the romantic castle courtyard, lightened up by the light of hundreds of candles and torches under the stars. 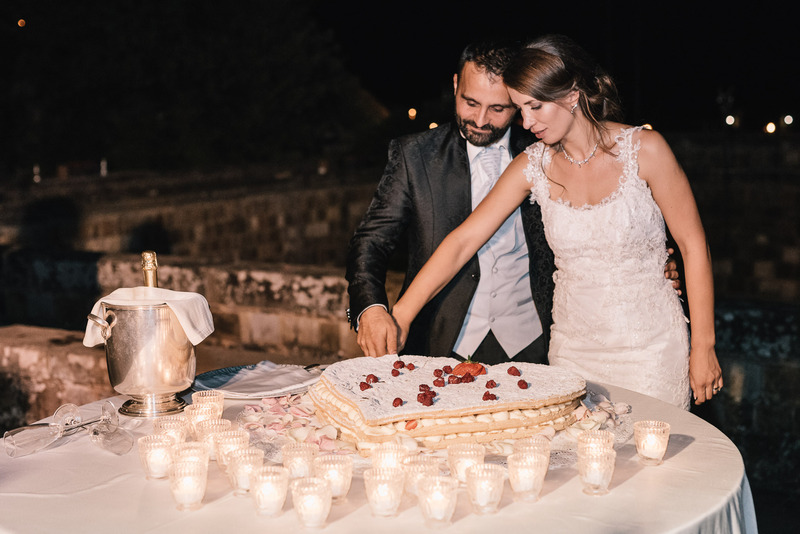 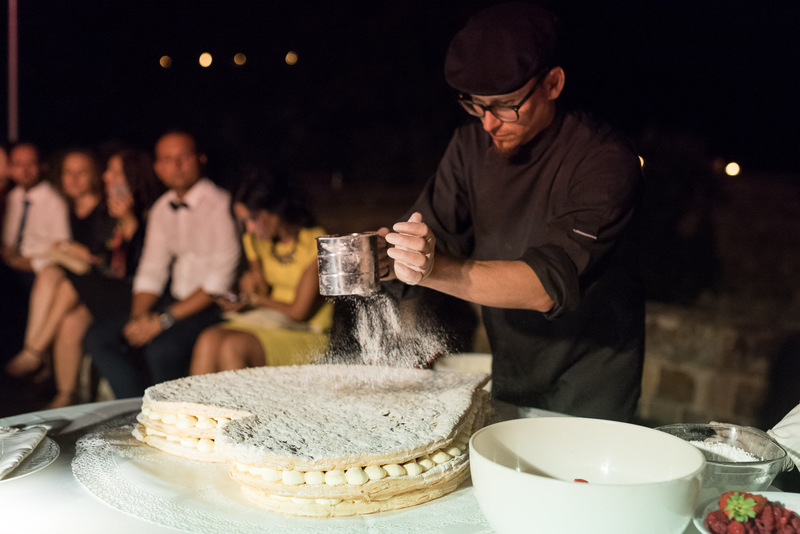 Last but not least, the cake designer surprisingly made the wedding cake on the spot and right after the cut of the cake an incredible fireworks show started, lightening up the hills above Florence!